AMAZING. It's hard to talk about the Timbali women without using that word! More than 2500 orphans and vulnerable children are fed EACH DAY by the Timbali women. For many of them that means hauling water and wood, and cooking over a fire. They do all of this in spite of the tremendous hardships in their own lives. Most have been widowed or abandoned. They are single mothers of up to ten children. They are grandmothers raising their orphaned grandchildren. They have taken in children who are not their own. Read their stories and be inspired! Download a printable PDF of the women's pictures and bios here. 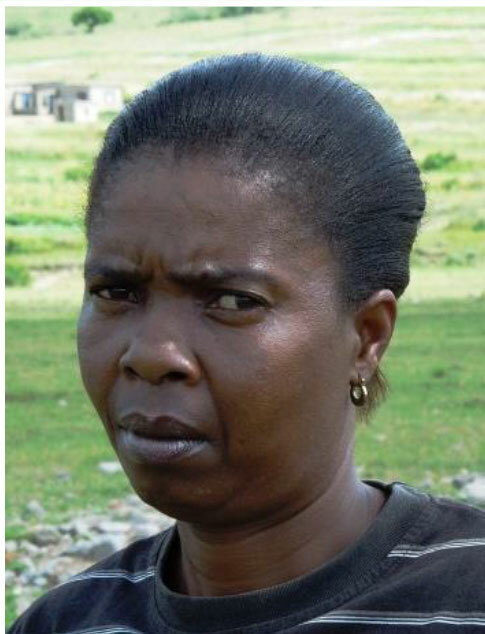 Albertina Simelane is 53 years old, and widowed with 5 children. She has had one child pass away. The money she makes from sewing for Timbali is the only source of income for her family. Albertina volunteers at her neighborhood care point because she loves the children. Alice Ngcamphalala cooks at the Center carepoint in Nsoko. She was born in 1959 and her husband has passed away. She has 8 children, 2 grandchildren, and 2 children who have passed away. She loves cooking and playing with the kids. She has also seen a lion! Pray for Alice to have strength to take care of the kids. Pray for the kids to grow and have good jobs like policemen. Anne Mavimbela is 53 years old. She is a widow and the mother of 10 children. She cares for 8 grandchildren who have been abandoned. Anne is not able to afford to send all of the children in her care to school. Anne works at her neighborhood care point because she love children and wants to help orphans. The money she makes from sewing for Timbali is the only source of income for her family. Bertina Dlamini serves at the Eskhaleni carepoint. She was born in 1973 and is not married. She has 3 children and takes care of three others. She sells sweets and bread for more income to help her kids at school. Bertina wants to see the kids knowing and growing in Christ. Also she loves taking care of the orphans because she wants them to feel like they have parents. Please pray that she will be able to teach her children and to make sure that they are doing well in school. Pray the kids will pass at school and get good jobs. 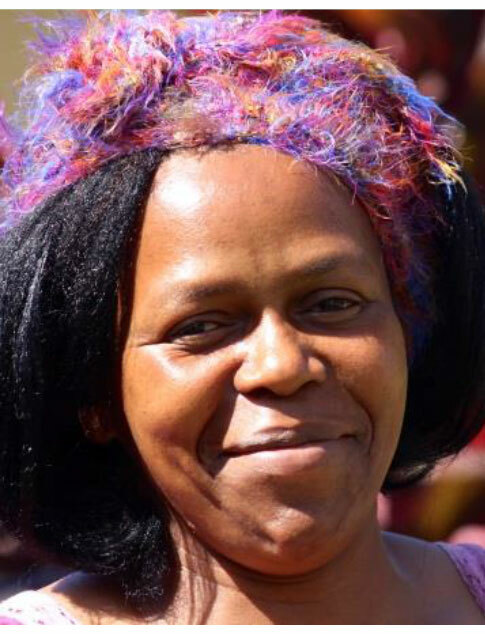 Christina Hlophe was born in 1958. She was widowed many years ago and was left to care for her two children. 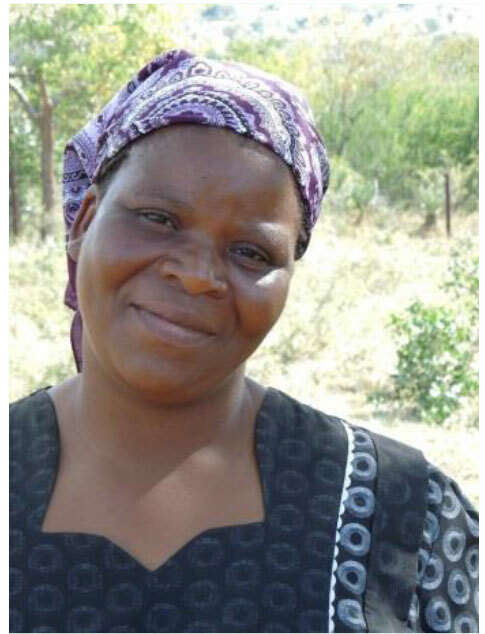 Before joining Timbali Christina had a difficult time paying for her children’s school fees. She has been a cook at the Mpholi care point since 2008. She has a great love for cooking for the children and she truly enjoys her time with them. Christine asks that we pray that she can continue to care for and love all of the children who attend the care point. 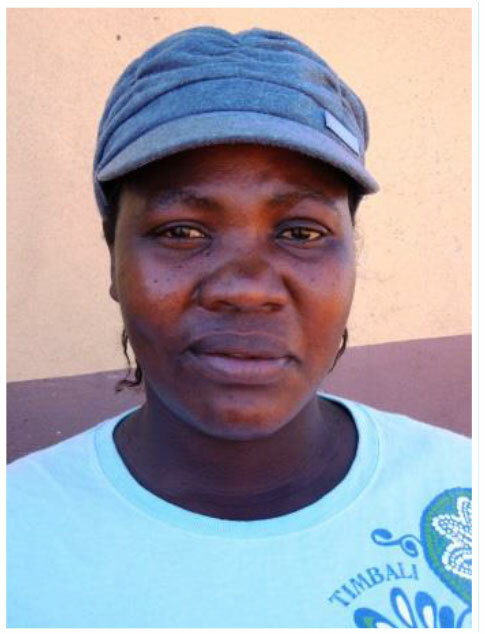 Cinisile Nkambule has been a cook at the Thulwane care point for the last seven years. 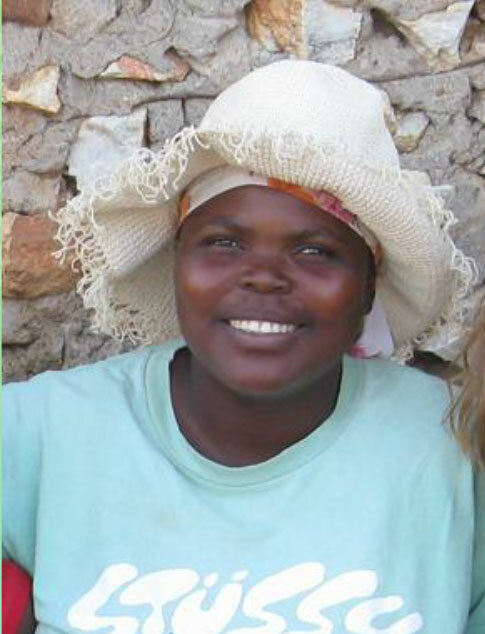 Cinisile was widowed 12 years ago and was left to care for their child. Since then, she has also begun to care for four additional children. 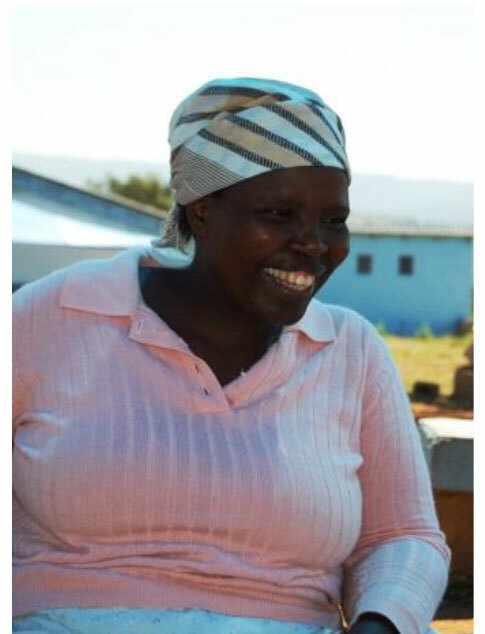 Cinisile has enjoyed sewing purses for Timbali for the last five years. She uses her income to buy food and provide for her household. 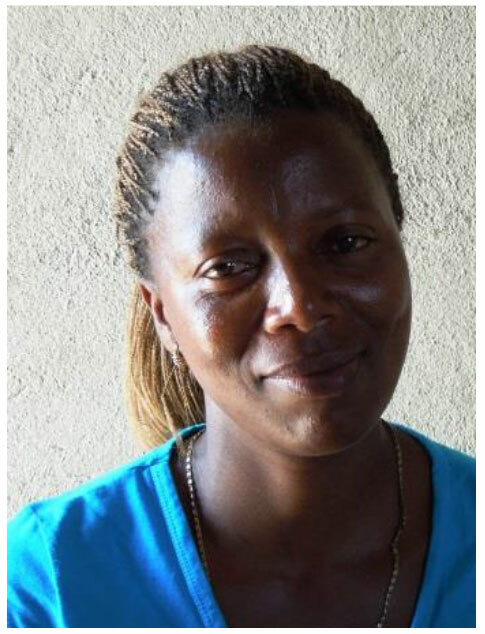 Cinsile takes pleasure in serving at the care point and preparing meals for the children in her community. Pray for Cinisile’s health that she can continue to have the energy to care for the children at the Thulwane care point. Constance Mamba is 58 years old. She is married with 8 children still living and 2 who have passed away. She also helps to care for one grandchild whose mother is unemployed. 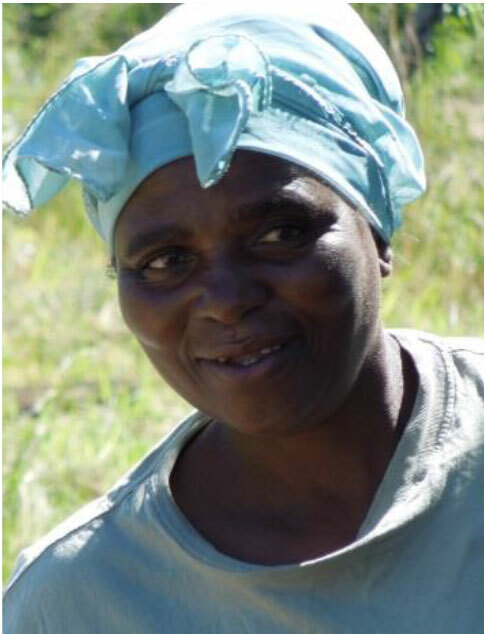 Besides her work for Timbali, Constance also does annual work in the cotton fields to help support her family. Constance volunteers because she wants to help the children around her. She knows many children only get one meal a day because they have no parents. 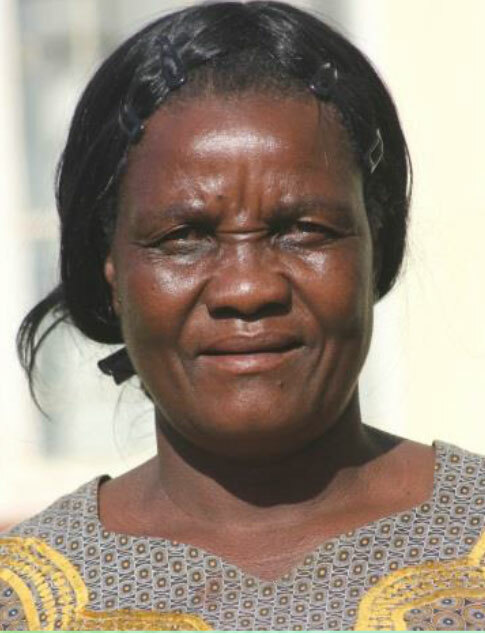 Constance Mavimbela was born in 1962 and she lives with her husband. She has 12 children and 18 grandchildren all living on her homestead. Two of her children have passed away. She loves taking care of the kids and she enjoys cooking for them and playing with them. Her earnings from Timbali Crafts are her only source of income. Constance started volunteering at her community care point in 1999 after seeing the needs of the orphans and wanting to help. She says she has seen the children become healthier over the years and that makes her happy. Dompas Mngometulu isn’t exactly sure of her age, but she guesses herself to be 68. She is a widow and 3 of her 5 children have passed away as well. She has her 2 sons and 2 grandchildren living at home. The money she makes from Timbali is the only income on her homestead. Dompas started volunteering at her neighborhood care point after being chosen by her community to do so. She enjoys taking care of the children at the care point and hopes that when she passes away someone will help take care of her family as well. Dudu Kunene is 43 years old. She is married with 7 children ages 3 to 18. She is married and her husband is employed. They live on her in-laws homestead and help to care for 11 neices and nephews who have been orphaned and also live there. Dudu began volunteering in 2006. At first she just started bringing her children to be fed at the care point, but when she saw the good work they were doing, she decided to start volunteering her time as well. Duduzile Dlamini was born in 1955. She has five living children and six grandchildren who she cares for. Duduzile was widowed many years ago. She has been a cook at the Bheveni care point since 2008. 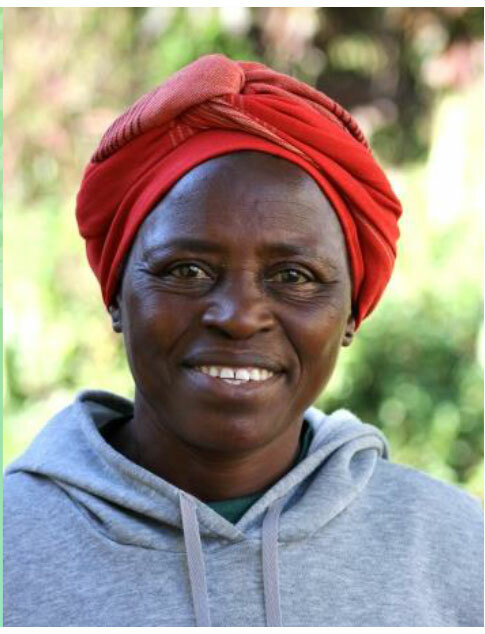 She enjoys serving at the care point and caring for the orphans in her community. Duduzile is thankful to be a part of the Timbali project. She uses her income to support her family and to pay for hospital bills. Duduzile asks that we pray for her family as they construct a new home. Dulile Sihlongonyane was born in 1979. She is a single mother to three school aged children. 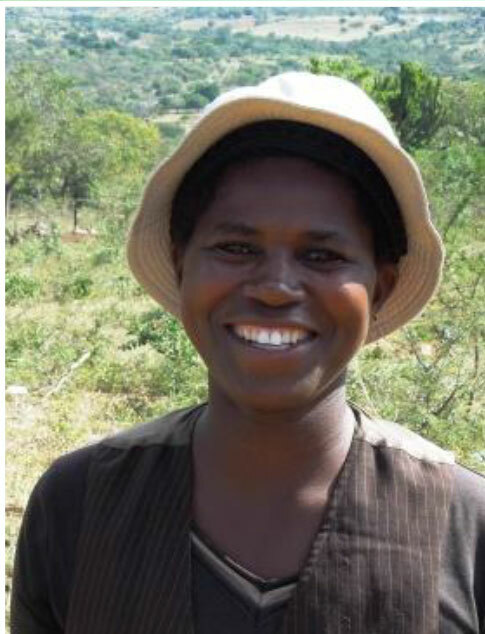 Dulile and her family rely on her Timbali income for their daily needs. They were also able to buy materials for a new house using her Timbali income. She started participating in Timbali crafts in 2006. Dulile has been serving at the Thembeni care point since 2003. She enjoys cooking for the children of her community and loves spending time with them. Dulile asks that we pray for the construction on her new home. Ellen Dlamini was born in 1960. 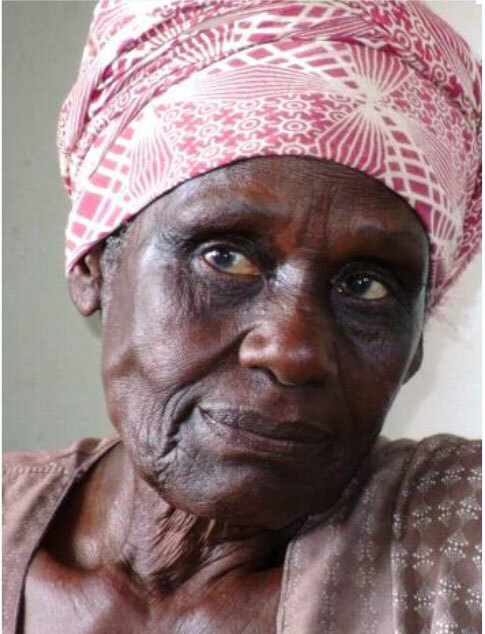 She was widowed in 2009 and was left to care for her nine children. Seven of her children have finished school but only one of them has been able to find employment. 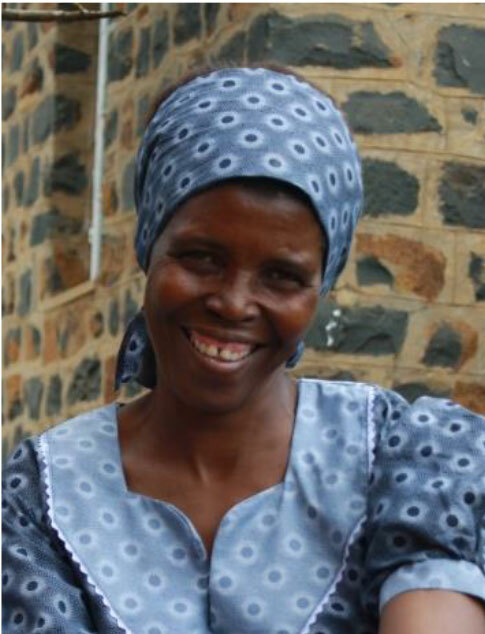 Ellen started sewing for Timbali in 2012 and her family relies on Ellen’s income for their basic needs. In 2007 Ellen advocated for a care point to open up in her community. The Mpholi care point opened soon after and Ellen has been serving the children in her community there ever since. Pray that her children may find employment. Also, pray that the family’s garden will produce an abundance of food. Elizabeth says the Lord secures her life and provides good things for her. Timbali is God’s love- we aren’t buying materials. We just sew and receive. She wants prayer for her last born to be able to go to school. Emmelinah Khumalo is 49 years old. She is married and has 6 children, all still at home. She has been cooking at her neighborhood care point since 2000. She started volunteering because she saw the needs of the orphans and wanted to help. She enjoys seeing the children happy and growing. 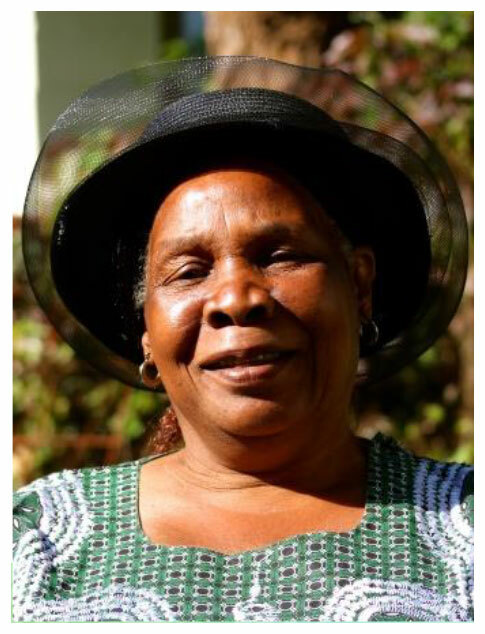 Esther Banda is 33 years old. She and her husband, Pastor Ronald, have helped run the care point in Gege for the last 4 years. Their home shares the same property as the care point, so Norah is continually involved with the care of the children. They have four children. The youngest three live with them, and the oldest schools in Zambia, where they are originally from. Esther and her husband hope to one day open a children’s home for orphaned and abused children in the Gege area. She asks for prayer for school fees for her children, and that she can continue to sew and provide an income for her family. Eunice Sacolo was born in 1959. Her husband has abandoned her and is living with his other wife. Eunice has five grown children and two grandsons. She has been cooking at the Enaleni care point since 2007. She was elected by the Chief to work at Enaleni. 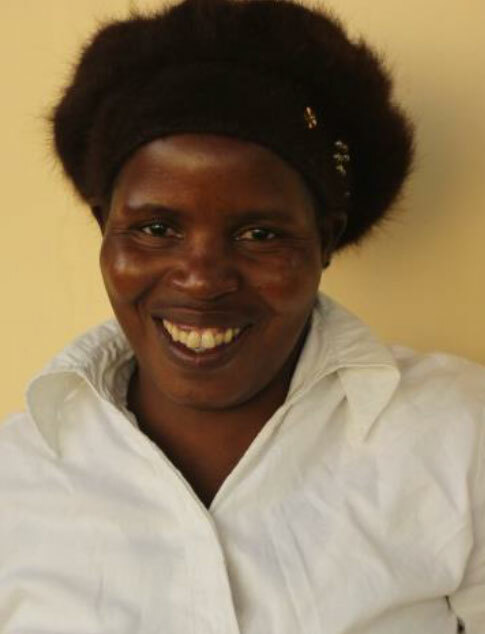 She enjoys cooking at the care point and laughing with the children. Eunice started sewing with Timbali crafts in 2008. She uses her income to pay for her children’s school fees and to maintain her home. Pray that Eunice is able to follow God’s will for her life. Florence Magagula is 34 years old. She is married and has had 10 children, 2 who have passed away. She cares for 8 of her children who still live at home and one grandchild. 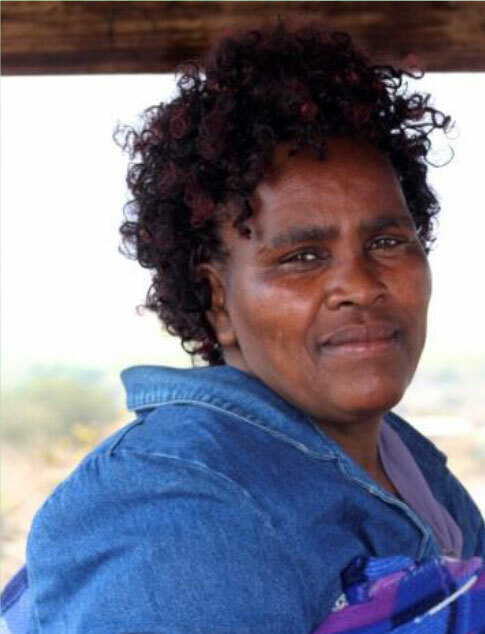 Florence’s husband is currently unemployed, so the money she makes from Timbali Crafts is the only source of income for her family. She started cooking at the care point after being appointed by her community, and is happy to be helping the needy children. Gcebile Nkambule was born in 1982. She and her husband have two school- aged children. 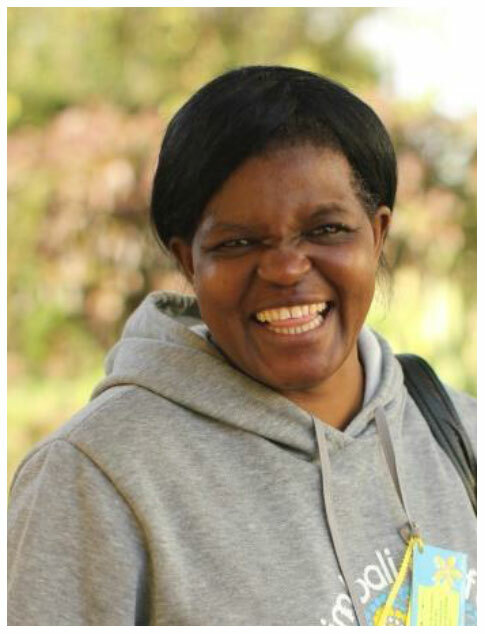 Gcebile has an infectious passion for the children at her care point. Starting at the Bheveni carepoint in 2006, she has spent every day for five years teaching the preschoolers of her community. 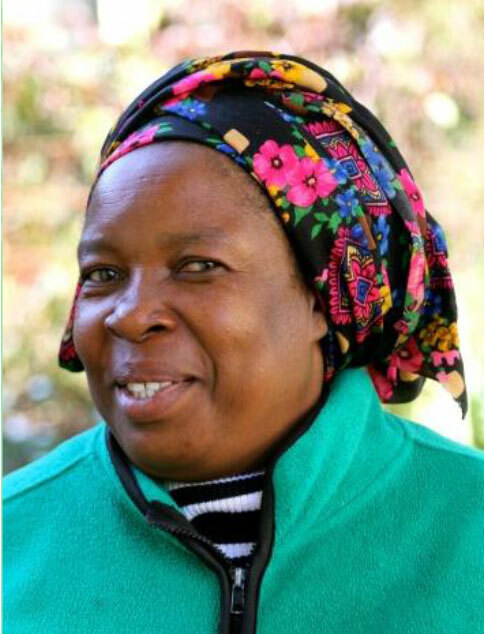 She serves at the care point because “it’s the work of the Lord to save the children, to save the orphans.” Being the sole provider for her family, Timbali has enabled her to provide food and schooling for her children. Thanks to the Lord Gcebile was able to build a house this year! Please pray that her two children will do well in school and that she will continue to be able to afford to send her children to school. Gcebile Simelane has been preparing meals and caring for the children at the Thulwane care point for the last five years. 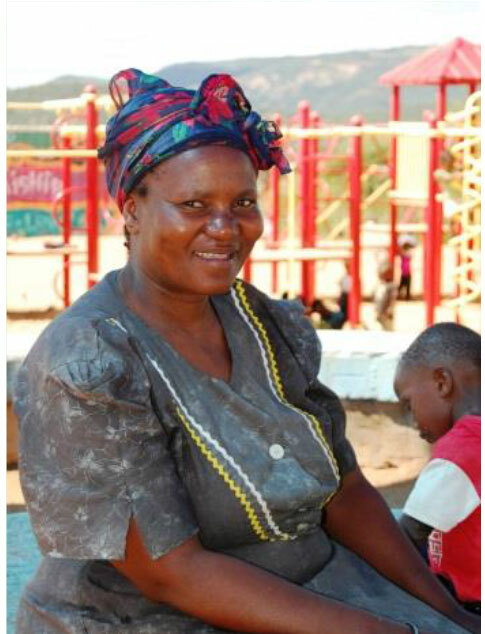 Gcebile uses her Timbali income to provide for her nine children and her husband. She serves at the care point because she sees a great importance in caring for the children in her community. Gcebile enjoys volunteering her time and she is comforted to know that her kids would also be cared for if anything ever happened to her. Pray that she and her husband can pay for all of their children’s school fees. Also, the family’s house is falling down, pray that they have the ability to make needed repairs. Gcmaphi Ncamphala is 38 years old. She is a widow with 5 children and 2 grandchildren. The money she earns from Timbali Crafts is the only income on her homestead. She was chosen by the community chief in 2000 to work at the neighborhood care point. She agreed to volunteer because she wanted to help the starving children, and hopes that when she passes away someone will be there to take care of her children. Girly Dlamini is 49 years old. She was widowed in 2006. She has 5 children with 2 still living at home. She also helps to care for 4 other children. 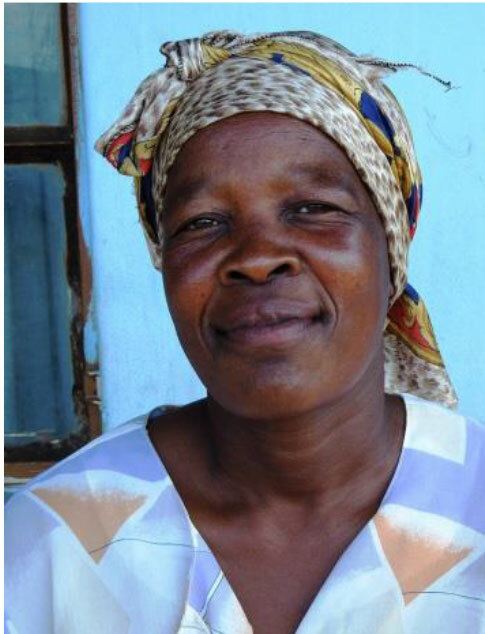 The money she receives from Timbali crafts is the only income for her homestead. Girly has volunteered at her community care point since 2003. In 2004 she started gathering up the children she saw were not in school and started the preschool at her care point, where she still teaches. She enjoys her work at the care point and says it helps keep her busy. 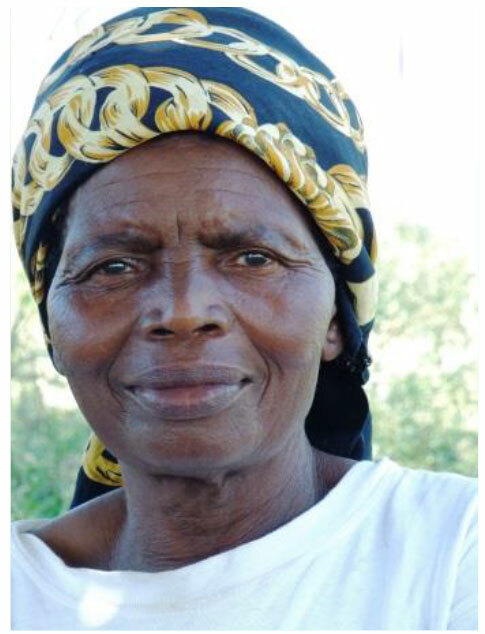 Grace Nkambule is a 73 year old gogo (grandma) who cooks at the Bhobokazi care point. Grace has experienced a lot of loss in her life. Her husband passed away in 1978 and only one of her five children is still living. Despite these losses, Grace still finds joy daily by caring for the people around her. Grace serves at the care point because she sees that it is her part to care for her community and to serve the Lord. Grace is a very genuine women and it is apparent that every moment of her day is an act of worship and service to the Lord. Grace asks that we pray that she find funds to get power to her new home. Hlobisile Magagula is 43 years old. She has 9 children who are living and 3 who have passed away. Hlobsile also helps care for one grandchild who’s mother is away working. 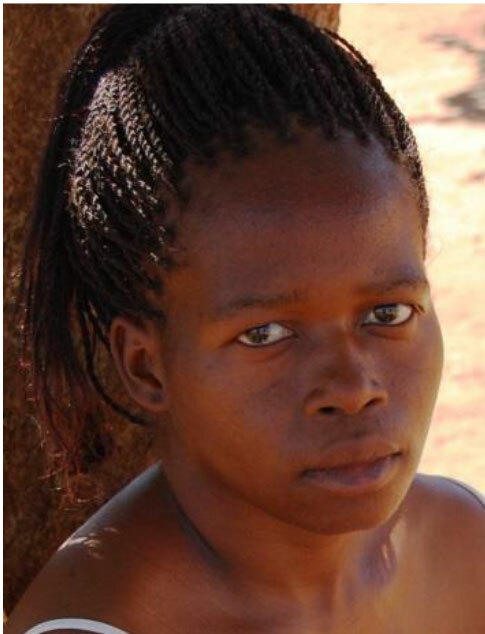 She is married, but her husband is unemployed and her work for Timbali is the only source of income for her family. Hlobsile has volunteered at her community care point since 2002. She saw that there were many children starving and wanted to be part of helping them. Hloniphile Mngometulu is 36 years old. She is married with 5 young children at home. The money Hlonphile earns from Timbali Crafts is the only source of income for her family. She started volunteering at her community care point after being chosen by the are chief. She had time to cook, and decided it would be good to help the children. Hlengiwe Mthiyane is 41 and she cooks at the Mbutu carepoint. She is married with 7 children and one who has passed away. She is also a teacher. She likes teaching and playing with the kids. She wants to see them grow and go to school to get good jobs. She enjoys cooking at the care point and loves seeing the kids cared for. God is taking care of her and her family. She would like prayer to see her family in relationship with God. Jabu Shoba is a cook at the Mkhombokati care point. She has been serving the children of her community there since 2000. Because Jabu was orphaned at a young age and grew up relying on the charity of her community members, she empathizes with the children who come to the care point. Jabu is thankful for the people that took care of her at a young age and is happy to be able to do the same thing for others. Jabu was widowed in 2004. Her homestead now consists of her two children and the four other children that she cares for. Jabu requests that we pray for her as she raises these four children. Pray that the Lord will give her love so that she can raise the kids like her own. Also, pray for her oldest son who is struggling. 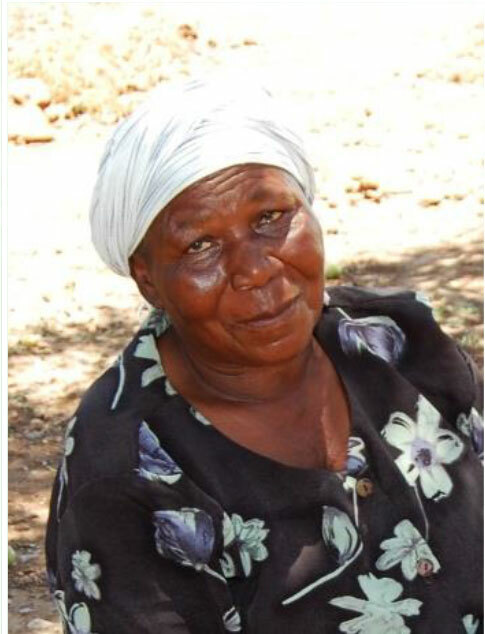 Jabu Simelane is a gogo (grandma) at the Mkhombokati care point. She has been cooking at this care point since 2000. She started volunteering at the care point after attending a workshop that taught her how to care for people. She was eager to put this knowledge to use by cooking at Mkhombokati. Jabu was widowed in 2004. She has four children and one grandchild, who she is raising. Jabu is thankful to be a part of Timbali. With her income she is able to pay for school fees, buy food, and provide for her family. Jabu asks that we pray for her family. Her sons are struggling to find good jobs and someone in their extended family has recently passed away. Jabulile Gamedze is a cook at the Thembeni care point. She has been volunteering at this care point since 2003. She started cooking here because she wanted to help feed the children, especially children who had lost parents. Jabulile was born in 1961. She has ten children and six grandchildren. She is also caring for her nephew who was recently orphaned. 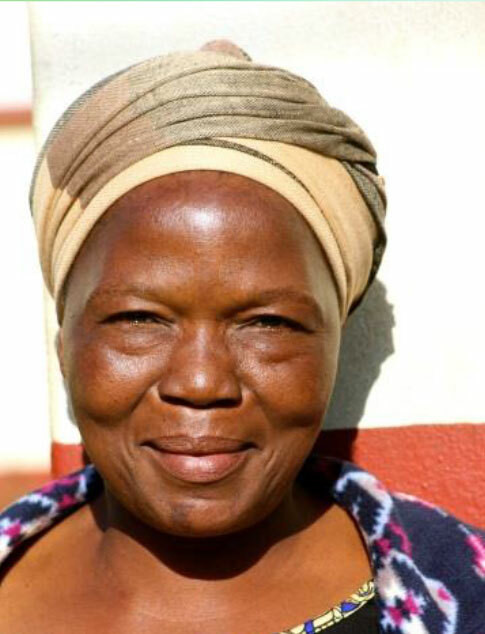 Jabulile’s husband passed away in 1998 leaving Jabulile the responsibility of providing for the family. Jabulile asks that we pray for her children, that they will excel in school. Jabu Kunene is a cook and teacher at the Ludlati care point. In Siswati, the name Jabulile means happy. This name is very fitting for her, despite recent hardships joy seems to be radiating from Jabulile. She started serving at the care point in 2009 because she wanted to teach the young children in her community. Jabulile is married and has seven children. She supports her family by sewing for Timbali and by selling firewood. 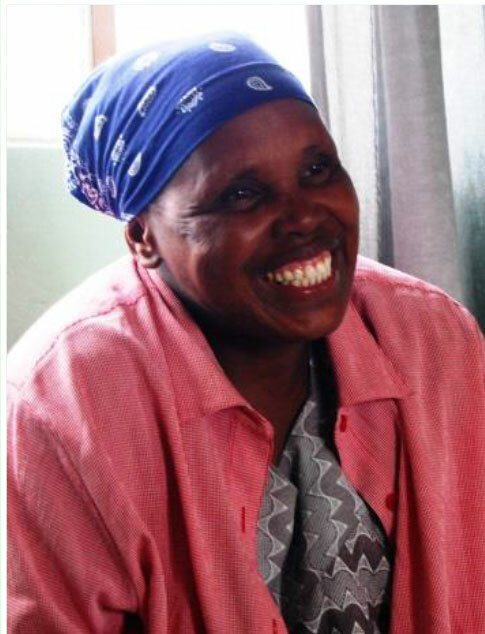 In December of 2011 Jabulile was diagnosed with cancer. Please pray for Jabulile’s health. Also, she asks that we pray for her children’s education. Pray that they will finish school and continue on to university. Jabulile Nkambule is a 53 year old gogo (grandma)who serves at the Timbutini care point. 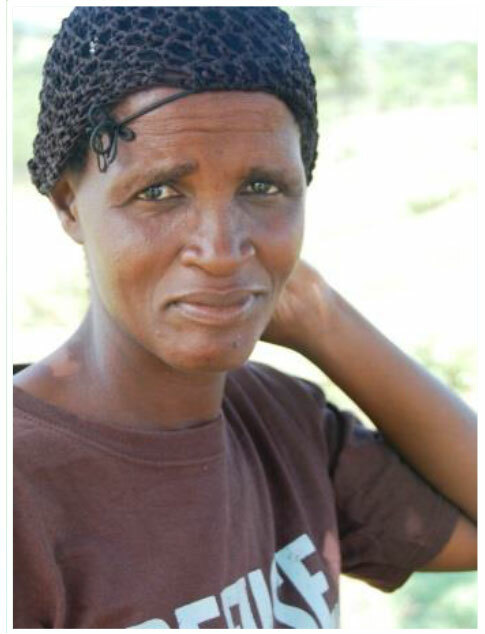 Jabulile was abandoned by her husband and has no children of her own. She enjoys being a part of the care point and providing food for the children in her community. She also loves spending time with the children. 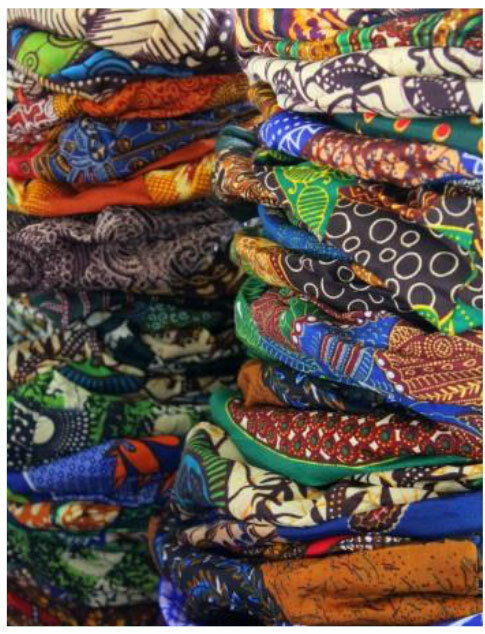 Jabulile has been a part of Timbali crafts since 2006. With her income she has been able to construct a house for herself. Her brother recently passed away. Her sister’s children are living alone without a home. Pray that her family may be united. 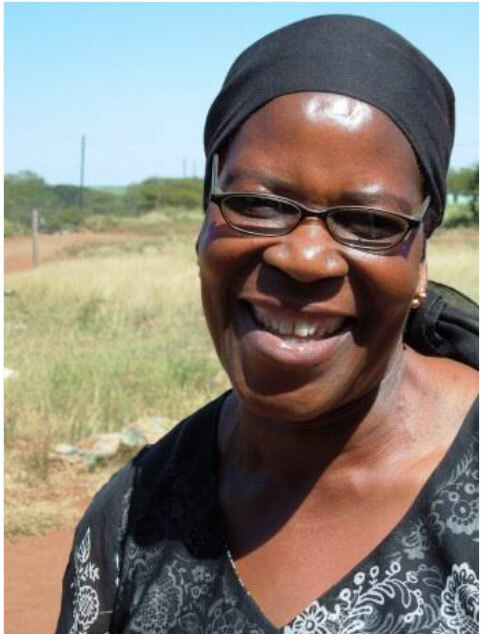 Jabulile Shongwe and her husband have seven children living in their homestead. Jabulile is the only person in the family with an income. With the money she makes from Timbali she is able to pay for school fees and buy food and other necessities for her family. 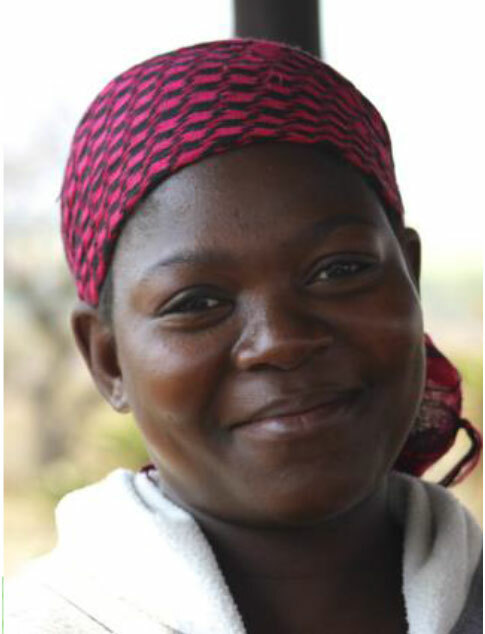 Jabulile has been a cook at the Mkhombokati care point since 2000. She started serving at the care point because she knew that many of the homesteads in her community were struggling to find enough food for their family. Jabulile knew that she could help by cooking for the children at the care point. Jane Dlamini is a kind hearted 67 year old. Her family seems to always be growing and it took her a minute to count her 8 children, 20 grandchildren, and 5 great grandchildren. She is currently caring for 6 of her grandchildren after one of her daughters passed away. Jane has had some health problems over the past few years but until recently she has been preparing meals at this care point for the last ten years. If you ever have the great blessing to meet Jane you will soon learn that she will talk your ear off whether or not you speak SiSwati. Please pray for Jane’s health and that her family may be united. Julia Magagula is 48 years old. She is a widow with 5 living children and 3 who have passed away. She has 2 children living at home and also is the care giver for 5 orphaned grandchildren. 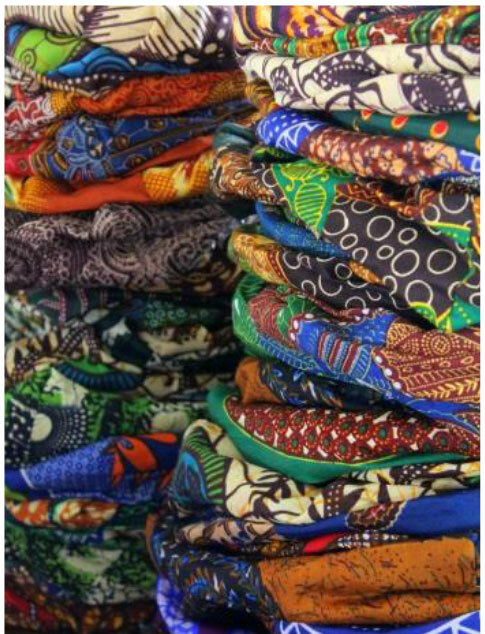 Timbali Crafts is the only source of income for their household. She started volunteering in 2000 at her community care point after being appointed by the chief in their area. 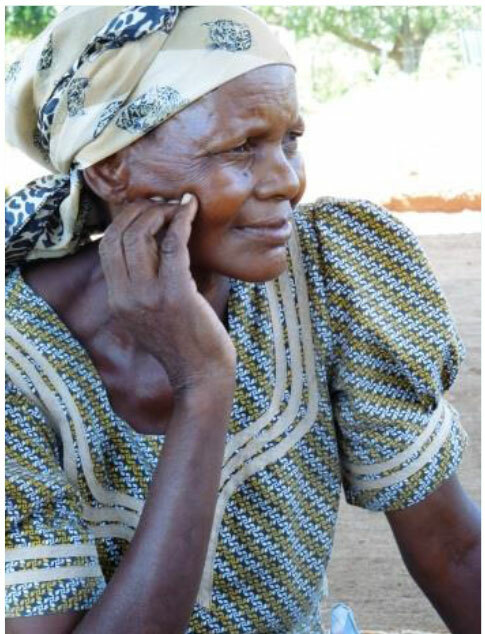 She is thankful that her grandchildren get to eat at the care point. 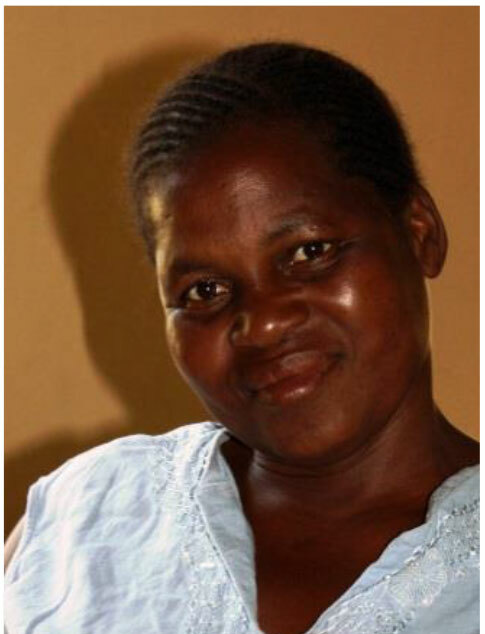 Juliet Msibi lost her husband several years ago and was left to care for their four children. She has also opened up her home to three other children. One was facing abuse and the other two have both been orphaned. In addition to showing motherly love to those in her home and her three grandchildren she expressed her desire to show that same motherly love to the children at the Timbutini care point. She joyfully serves at the Timbutini Care Point every other week. Juliet asks that we pray for her granddaughter’s health. Also, pray for her son who has been searching for jobs and hoping to attend university. 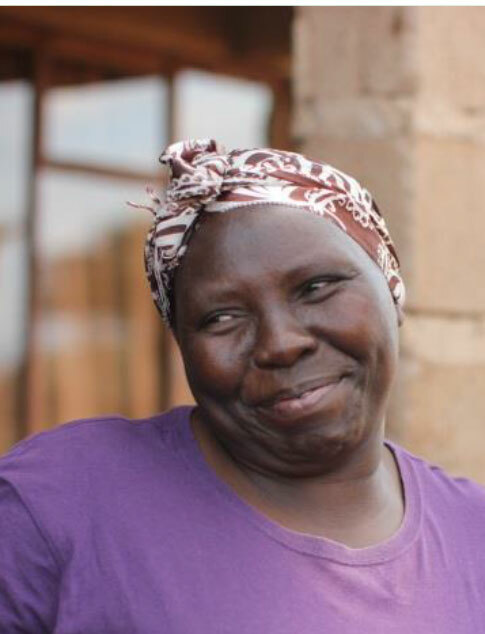 Finally, pray that Juliet can cover school fees for her children and grandchildren. 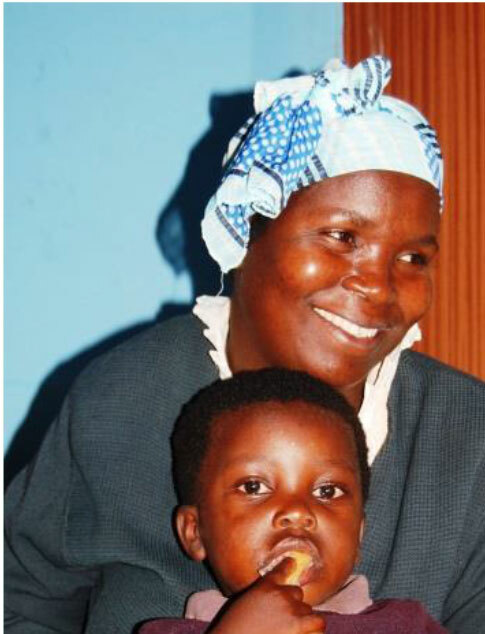 Khanyi began helping the children of the Ngunya community in 2004 when the carepoint started. She lives with her husband who is not working. They have 3 children and a total of six live on their homestead together. 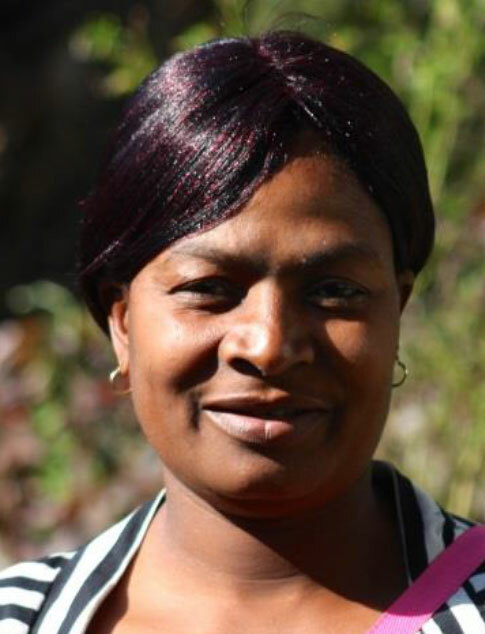 She is providing the sole income for the family through her Timbali work. Her prayer is for her children to stay in school and to do well with their grades each year so that they can be promoted to the next level. She is praying for work for her husband. Khanyisile Khumalo was born in 1971. She is married and has eight children between the ages of 8 and 20. The family is also caring for one other child who was orphaned. Thanks to her Timbali income Khanyisile is able to pay for her all of her children’s school fees. She has been a part of the Timbali project since 2006. Khanyisile started cooking at the Thembeni care point in 2004. She enjoys cooking and being with the children in her community. Pray that her children will respect others and that they will have bright futures. 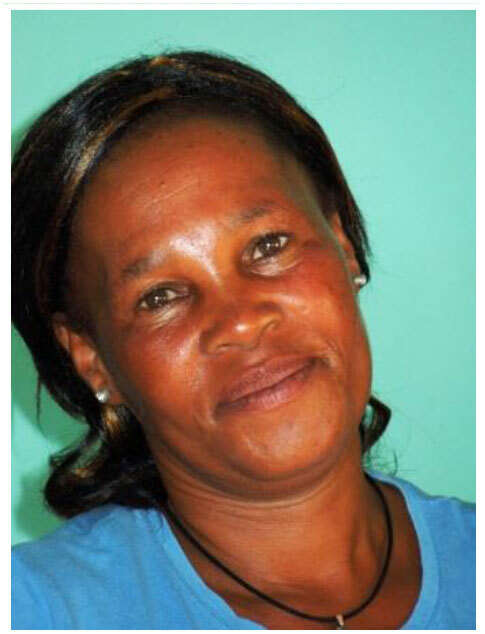 Khelina Mngometulu is 52 years old, and was widowed in 2000. She has 5 children, 2 of which still live at home. She also has 2 grandchildren living with her. She started cooking at her neighborhood care point in 2002 after being chosen by the community chief. Her work at the care point makes her happy and helps her to forget the past. 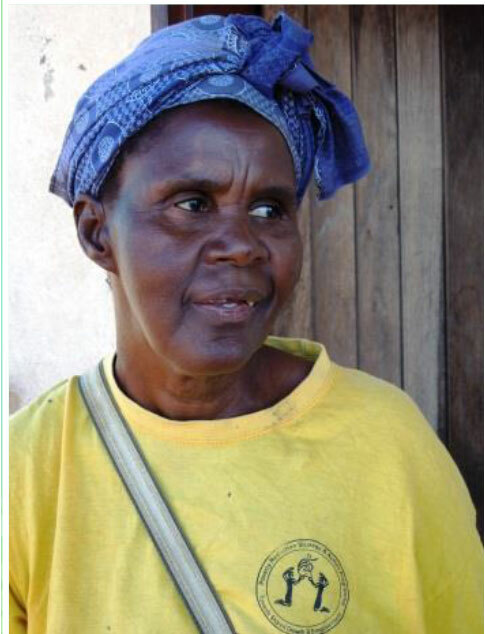 Khelina Ziyane is a 65 year old cook at the Bhobokazi care point. 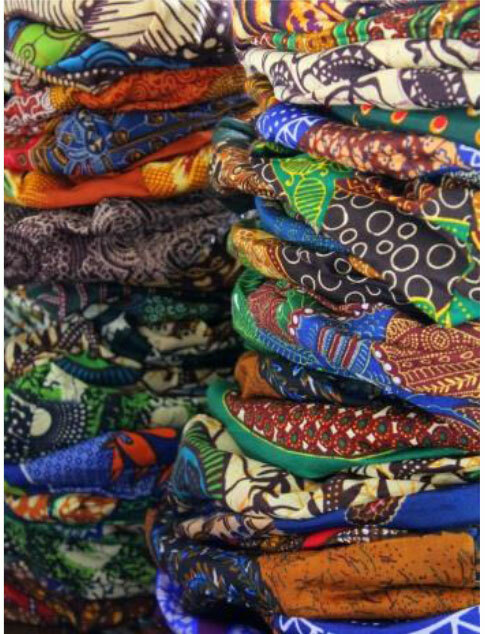 She has been sewing with the Timbali project since 2007 and uses her income to support her ever growing family. Khelina has four living children, 16 grandchildren, and 1 great grandchild. She is currently caring for seven of her grandchildren. 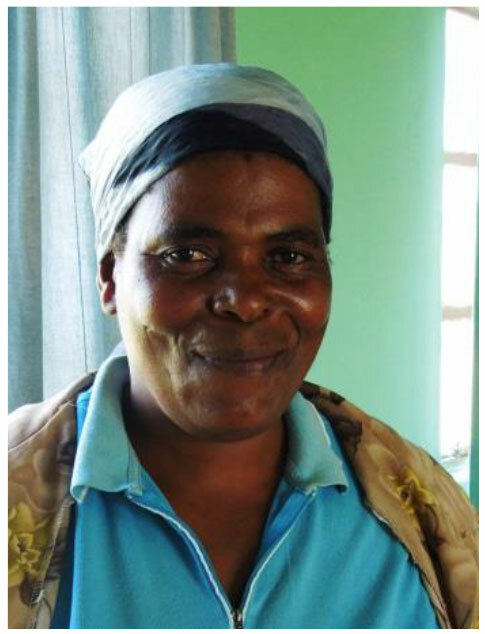 Khelina started working at Bhobokazi care point ten years ago after going to a training on how to care for kids and people who are ill.
Khelina asks that you pray that she will be able to continue to provide for her grandchildren. Linah Dlamini was born 1954. She is loving cook at the Thembeni care point. 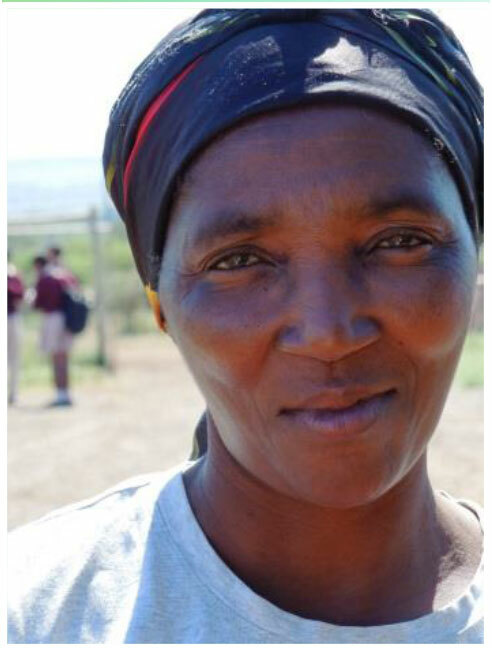 Linah has been volunteering at Thembeni since 2002 and she is happy to help the children of her community. Linah and her husband have no children of their own but they are caring for three children from their extended family. She has been involved in Timbali crafts since 2006. Her income has helped to provide for her family by buying food and clothes. She wants us to pray for her husband’s son who is searching for employment. 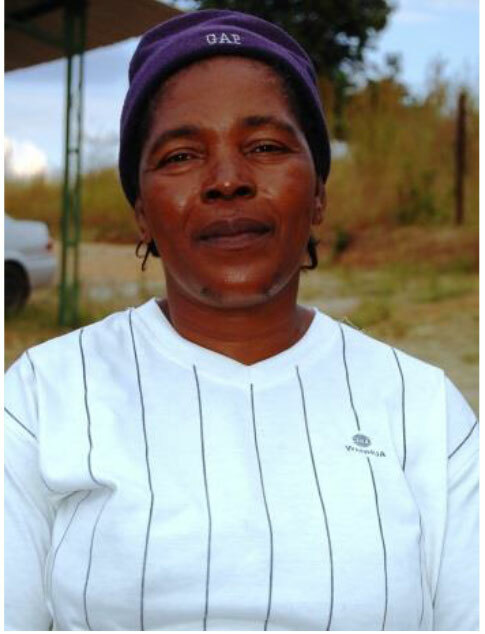 Lindiwe Methula has been volunteering at the Bhobokazi care point for the last ten years. Lindiwe grew up without parents and understands what life is like for many of the children in her community. Because of this understanding she has become very committed to loving and caring for the children that she sees daily at the care point. 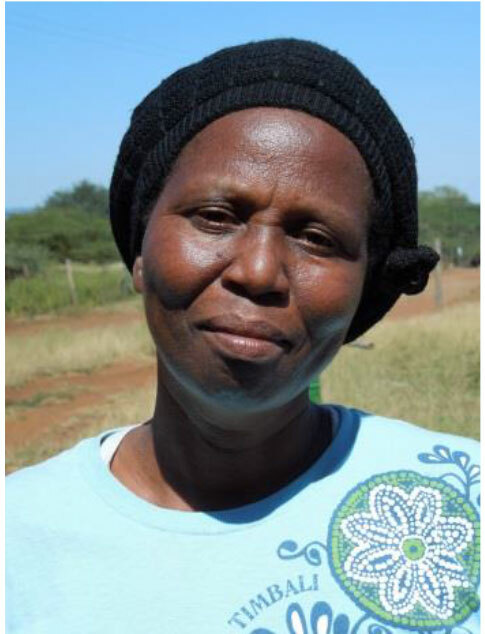 Lindiwe was widowed several years ago, left to care for her ten children and two grandchildren. She has also welcomed two children into her home who were abandoned by their parents. The Methula family relies on Lindiwe’s Timbali income for most of their daily needs. 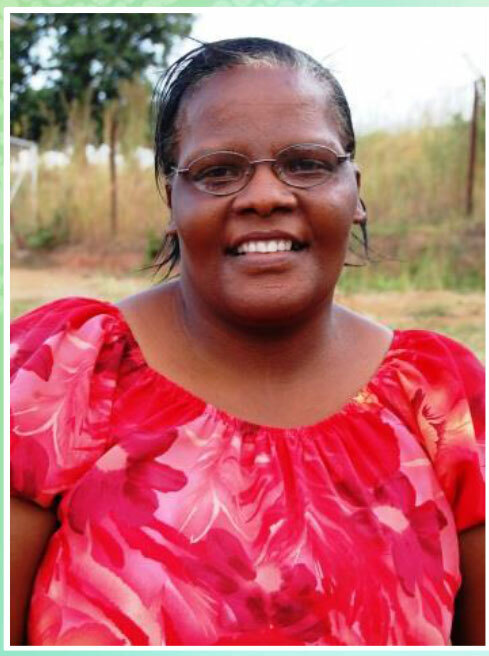 Thanks to the Lord Lindiwe was recently able to add on to her house! Pray that her children continue to do well in school and that they will grow up to be something great. Lindiwe Shabangu was born in 1970. She is married and has three kids. She is also caring for two of her husband’s children. 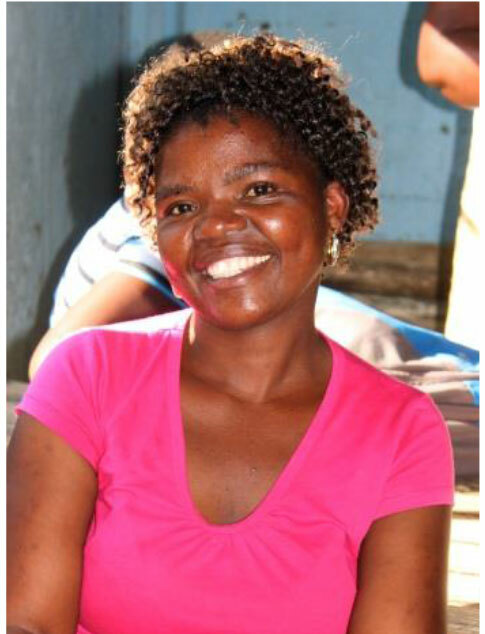 Lindiwe is the preschool teacher at the Thembeni care point. In 2006 Lindiwe started participating in Timbali Crafts. 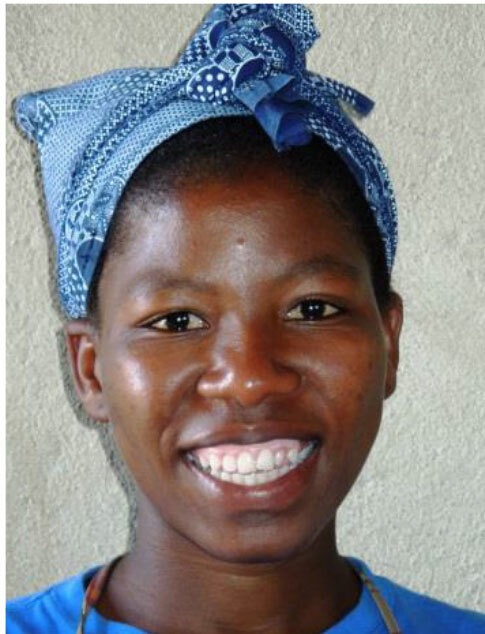 Her income has allowed Lindiwe to pay for school fees, pay hospital bills, and provide for her family. Pray for Lindiewe’s daughter who has bad headaches. Also pray for a son who is struggling. Lungile Matsentjwa is 34 years old. She is married with 3 young children. She also helps to care for one of her orphaned nephews. Lungile’s husband is unemployed and the money she earns from Timbali is the only source of income for her family. Lungile started volunteering at her neighborhood care point after she was appointed by members of the community. 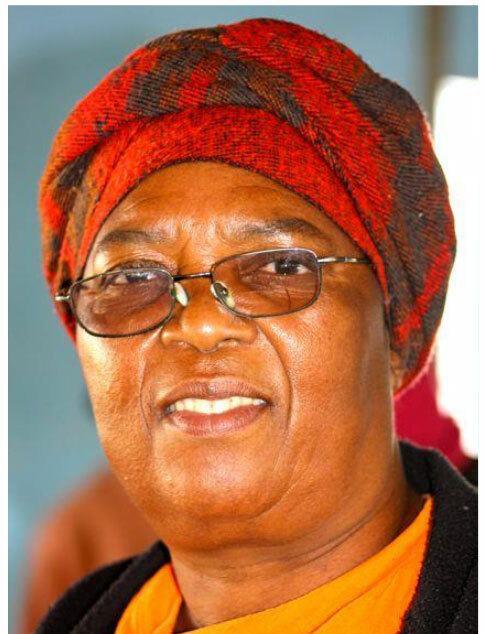 Lomasontfo Shongwe was born in 1953. She was widowed 21 years ago. 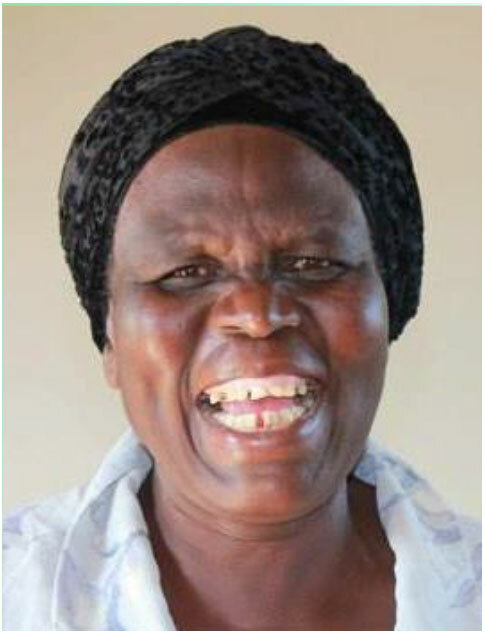 Lomasontfo has four children and six grandchildren. She is currently caring for two of her grandchildren. 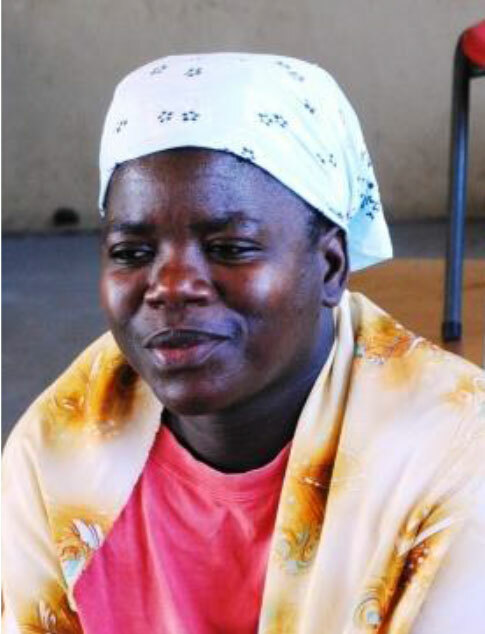 In 2008 Lomasontfo started cooking at the Bheveni care point and participating in Timbali crafts. She started serving at the care point after seeing so many children in her community without food or parents. As a cook, she has the opportunity to help these children. 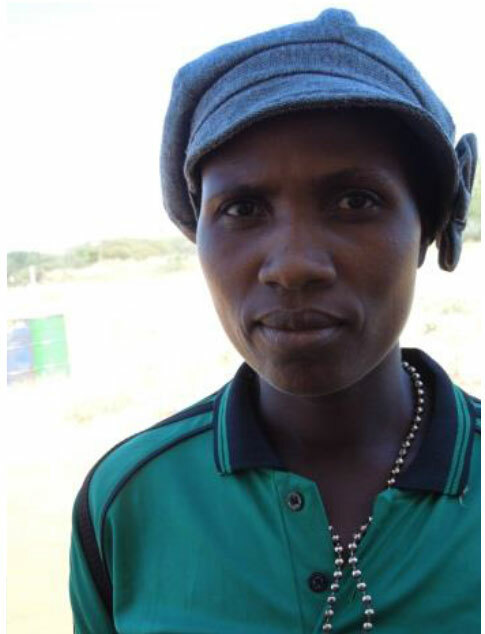 Lomasontfo prays regularly that God will give her even more desire and power to care for the kids at her care point. Please pray for good health within the Shongwe family. Lomthandazo Nkmbule is 68 years old. She and her husband have 6 living children, 28 grandchildren, and 1 great grandchild. There are currently 23 people living on her homestead. Lomthandazo’s income is used to pay for school fees and to provide the family with their basic needs. Lomthandazo has been cooking at the Bhalekane care point since 2002. She really cares for the kids in her community and she enjoys having the opportunity to provide them with meals. Lomthandazo asks that we pray for her health, she does not feel well most of the time. Also, pray for continued peace within her family. Lungile Mngometulu is 37 years old. She has volunteered at the Timbutini care point for the last ten years because she sees the importance of helping those who are in need. She enjoys the company of the other cooks, and feels very privileged to be a part of all that God is doing at this care point. Lungile has three school-aged children. She uses her Timbali income to pay for her family’s daily needs. Unfortunately, she is struggling to pay for all of her children’s school fees. Lungile asks that we pray for her children and that she will find a way to continue paying for their education. The family also lives in a very old house, pray that it continues to provide them protection and that they can make the needed repairs. Lungile Thwala is a 41 year old cook at the Timbutini Care Point. This mother of eight stays busy raising her children, caring for the children of her community, and participating in the Timbali project. She and her husband have also opened up their home to a young boy whose parents struggle with mental disabilities. Lungile enjoys serving at the care point. Her desire to be a mother to children of her community is very inspiring. 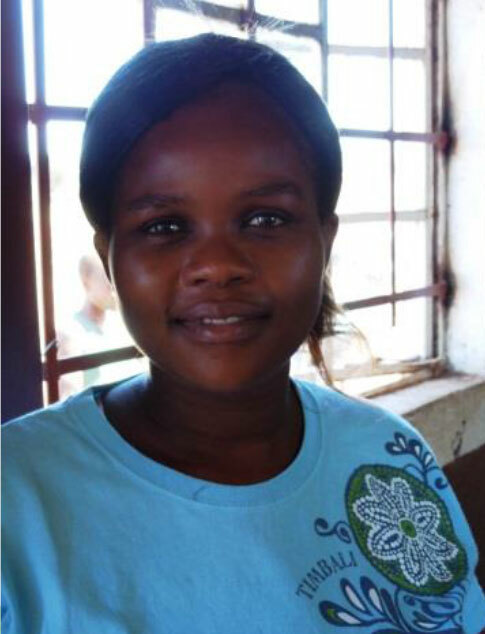 Pray with Lungile that her children will graduate high school and continue on to college. Makhosazane Dlamini started volunteering at the Bhalekane care point four years ago. Makhosazane and her husband have a three –year- old daughter. This young couple has also opened up their home to two other children who have both been orphaned. 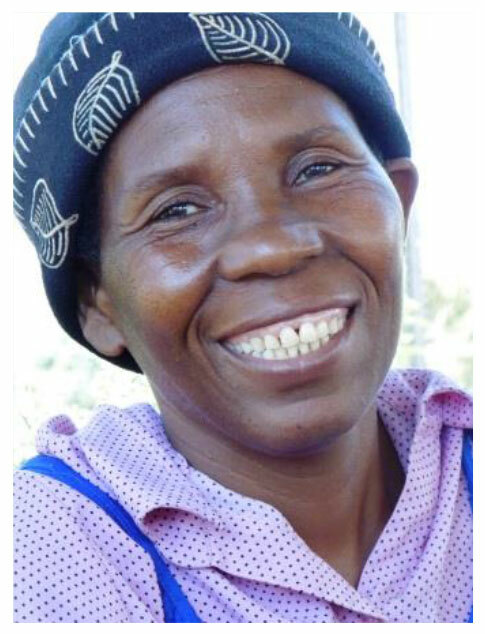 Makhosazana enjoys serving meals at the care point and sewing for Timbali. She has a beautiful smile that instantly brightens a room. Pray for peace in her family. Makhosazane is one of the cooks at the Ntaba’s Care Point. She is 39 years old and is a mother of six children. She and her husband have also opened up their home to three other children. Makhosazane’s husband works in a mine in South Africa. Makhosazane keeps very busy with caring for the nine children in her home, cooking at the care point, and making purses for Timbali. She may be busy but Makhosazane is pleased to give her time to care for the children in her community. Makhosazane expressed great concern for the kids who do not have food. This concern is the drive that has kept her serving at Ntaba’s for the last eleven years. She is praying for a bigger house for her family. 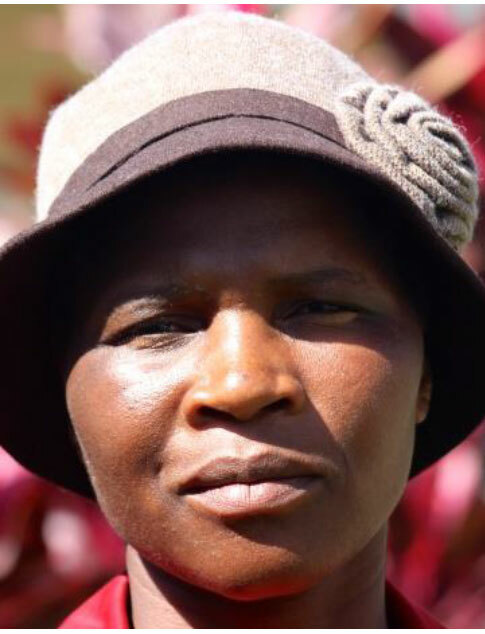 Makhosazana Mkhatshwa was born in 1970. She is married and has five children. The Mkhatshwa family is also caring for three other children who have been abandoned and/or orphaned by their parents. Makhosazana is one of the cooks at the Bheveni care point. She has served at this care point since 2002. Makhosazana actually helped to start the Bheveni care point. They used to distribute food to the orphans but people would steal the food from them. She encouraged them to start preparing food at the care point to ensure that everyone was getting a meal every day. 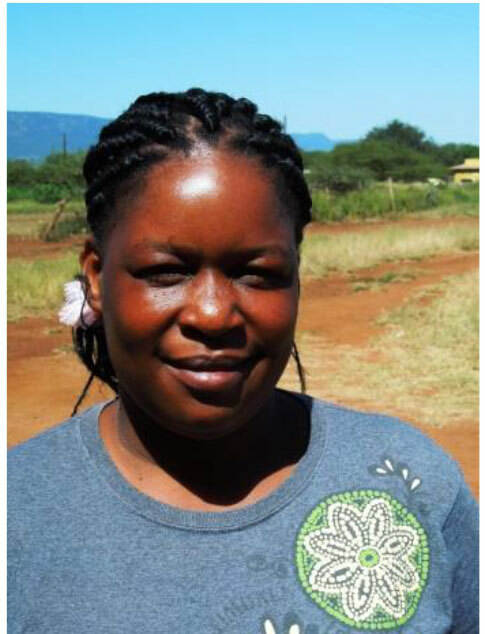 Pray for Makhosazana’s children as they look for work. Also pray that there will peace within the Mkhatshwa family. Mkoti Hlatjwako is a 52 year old grandmother. 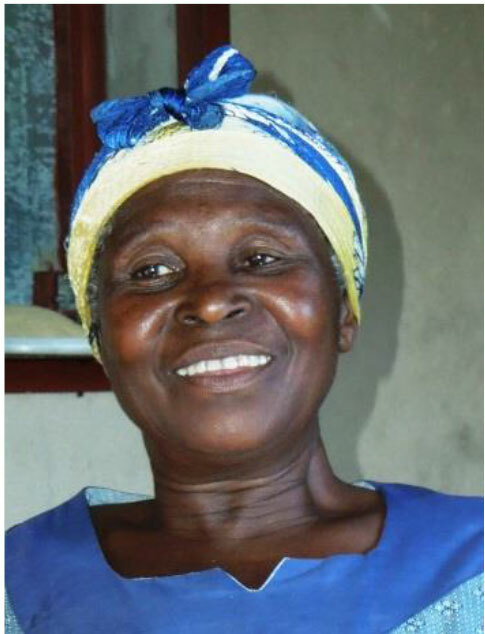 Mkoti has 6 living children, 10 grandchildren, and 1 great grandchild. Her husband has abandoned her to live with his other wife. 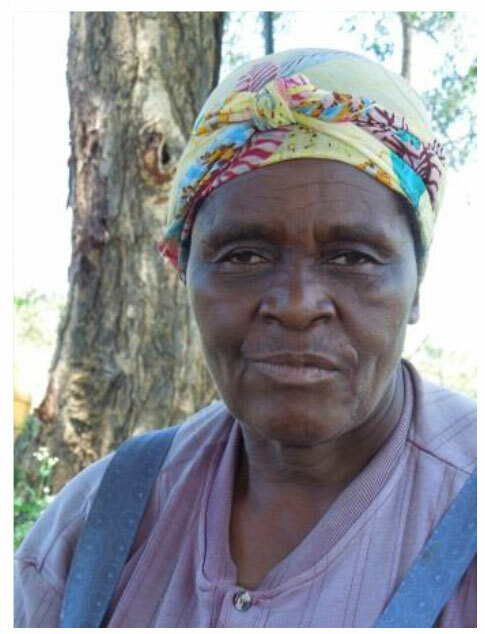 Mkoti is currently caring for three of her grandchildren at her homestead. She has been serving at the Bhobokazi care point since 2002. She decided to volunteer at the care point after losing one of her sons. Mkoti saw how painful it was for her grandchildren to lose their father and she wanted to serve the other children in her community who have also experienced loss. Mkoti asks that we pray for her health, she is currently experiencing back pains. Also pray that her family will be united and that her family members will support one another. Minah Thwala is a 65 year old ‘gogo’ (grandma). She has been serving at the Bhalekane care point since 2002. She was already caring for some children at her homestead but she knew wanted to do more. Minah has seven adult children, twenty-four grandchildren, and two great-grand children. 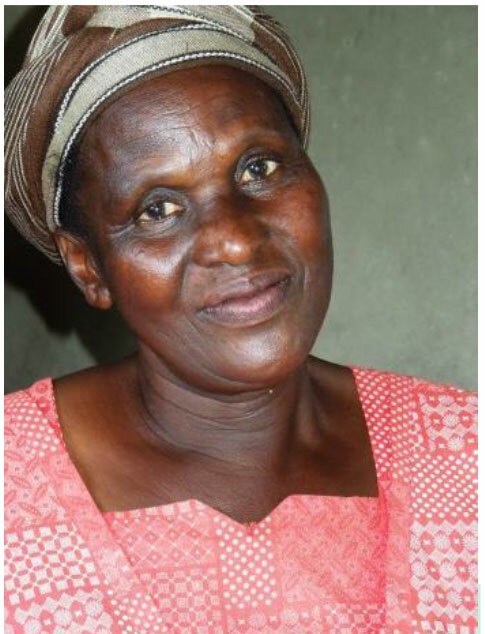 She is currently caring for three of her grandchildren who have been orphaned or abandoned by their parents. Minah uses her income from Timbali to pay for her grandchildren’s school fees, make needed home repairs, and provide food for her family. Minah asks that we pray for her son who is struggling. Also, pray that she is able to complete the needed construction on her house. 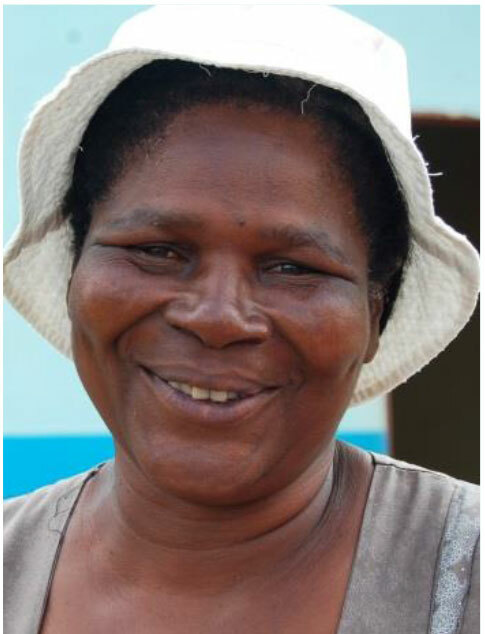 Monday Mbuyisa started cooking at the Mkhombokati care point in 2011. Monday decided to serve at the care point because she was struggling to provide for food for her family. She now cooks at the care point so that she can help her community and to get food for herself and her family. Monday and her husband have ten children. Four of her children are still in school. Monday is new to Timbali and thanks God for the opportunity to participate in this income- generating project. Monday asks that we pray for her husband as he searches for a job. Also pray for her seven year old daughter who is developmentally delayed. Monicah Motsa is a beautiful 43 year old. She and her husband have nine children between the ages of 7-17. They have also opened up their home to three additional children who had no other place to go. Monicah has a compassionate heart and a desire to love the children in her community. 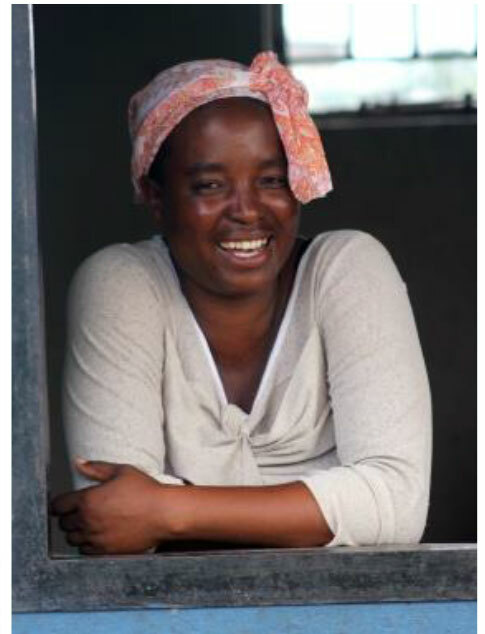 She has been joyfully serving at the Bhobokazi care point for eleven years. Pray for her children who have graduated from high school and for her husband, that they may find jobs. She also asks that we pray for the children who come to her care point, specifically the children who are experiencing abuse. Mthabi Matsenjwa is 37 years old. She is married with 2 children. She also cares for 3 neices and nephews whose mother works far away. Mthabi’s husband is unemployed, so the money Mthabi earns from Timbali Crafts is the only source of income for her homestead. Mthabi volunteers at her community care point because she loves the children. Ncobile Gamdze was born in 1977. She and her husband have five children, four of whom are school-aged. The family is also caring for four children from their extended family. The children’s school fees are paid for by Ncobile’s Timbali income. 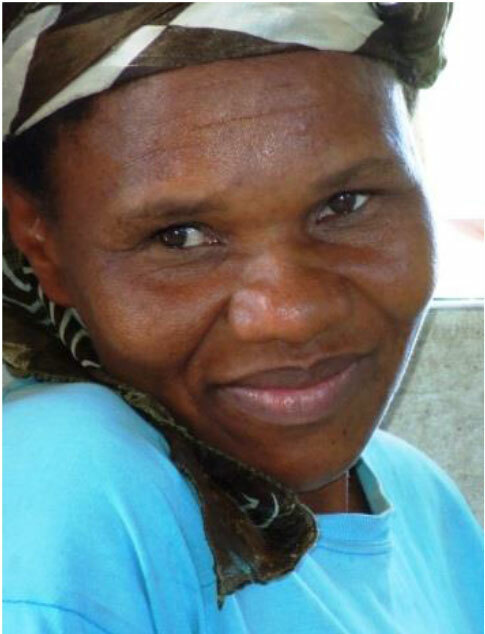 She has been a part of the Timbali project since 2006 and is also able to buy food for her family using her income. Ncobile has been preparing meals at the Thembeni care point since 2002. She felt called to cook at the care point after seeing the situation in her community. Ncobile cooks at the care point because she knows that this may be the only meal for many of the children around her. Ncobile asks that we pray for peace within her family. 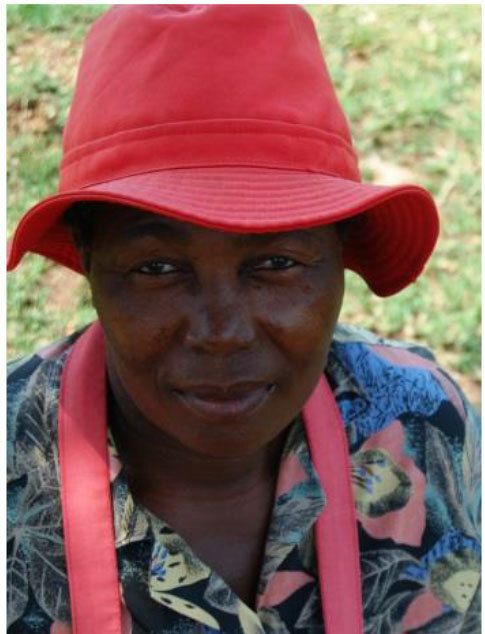 Neli Xaba is a cook at a Care Point in the Nsoko region of Swaziland. More information information is coming soon. Nelta Dlamini is 63 years old. 4 of her children still live with her, 2 are married, and one has passed away. She helps to care for 9 grandchildren whose parents have either passed away or work in other parts of Swaziland and South Africa. 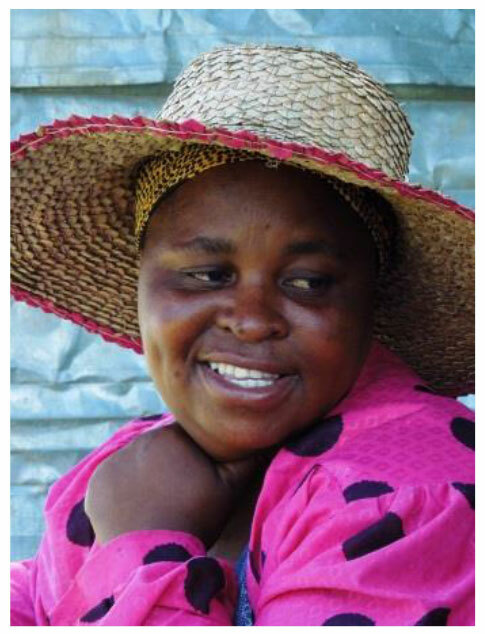 Her work for Timbali Crafts is the only source of income for her homestead. She decided to start volunteering at her neighborhood care point because she thought that helping to feed the children would be a good way to use her time. Nesi Nkambule was born in 1971. Her husband passed away in 2006, leaving her to care for their one child. Nesi also cares for three other school age children. Her sister’s child moved in with the family after Nesi’s sister passed away. Two other children approached Nesi in 2010, asking to stay with her after they lost their parents. The Enaleni care point has been blessed to have Nesi as a teacher since 2008. 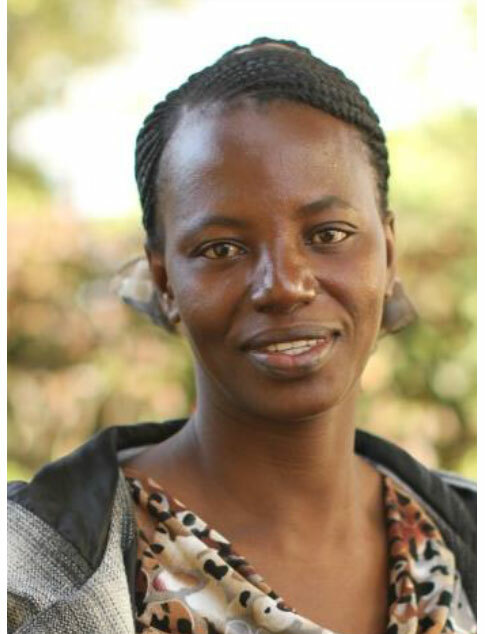 Nesi says that she teaches at the care point because she loves children. Nesi prays that the children in her household will grow up knowing the Lord. She also prays that they will excel in school so that they can attend university. Nombulelo Matsenjwa lives in the Nsoko area of Swaziland. Her husband is the Pastor of a church located at one of the Care Points. 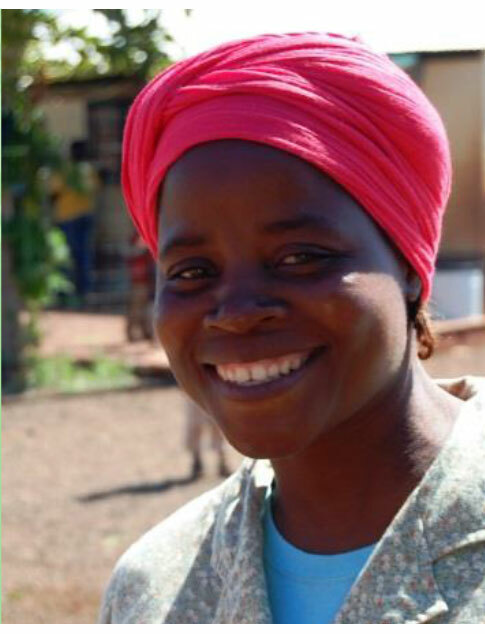 Nombulelo helps to oversee the 35 Timbali Crafts women in her area. She is a trained seamstress, and has 2 young sons. They also help to care for her husbands younger sister and also his mother who has chronic health problems. Nomphumelelo Shongwe was born in 1987. 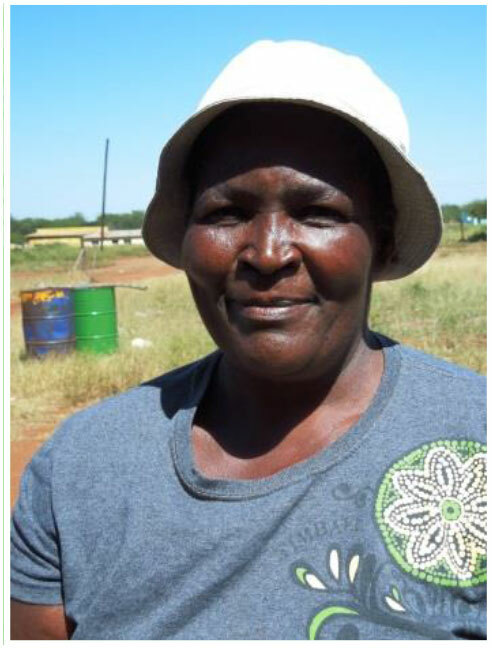 She started cooking at the Enaleni care point in 2011 after her mother passed away. Nomphumelelo’s mother had been cooking at the care point and Nomphumelelo took over her mother’s responsibilities at Enaleni. She enjoys her new role as cook. Nomphumelelo is a mother to three young children. She also helps to care for her five younger siblings. In all, there are 12 people living on the Shongwe’s homestead and 12 people that are relying on Nomphumelelo’s Timbali income. Pray for her relationship with her sister and that there may be peace in their family. 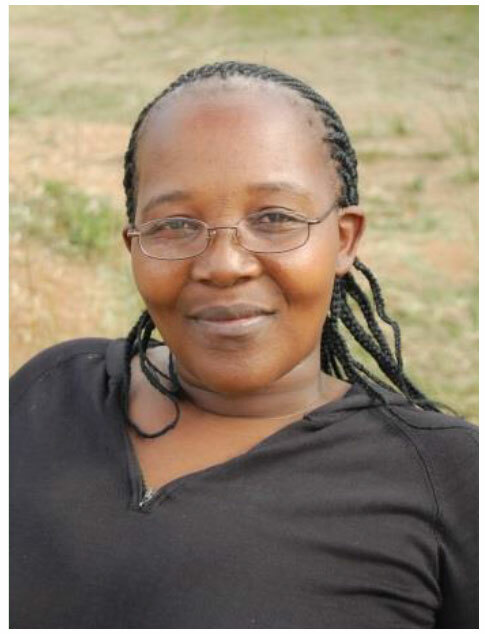 Nondumiso Nzima was born in 1969 and was widowed in 2004. She has six children and one grandchild. Besides the income that Nondumiso receives from Timbali, she has been able to support her family by doing some small jobs for people in her community. She uses her income to pay for school fees and to buy enough food for her family, especially her sons who eat a lot. In 2008 Nondumiso started cooking at the Mpholi care point. Nondumiso has a heart for helping and she loves kids. Pray that Nondumiso’s kids finish school and that they may know God. Also pray for God’s protection over the Nzima family. Norah is a 63 year old widow. She has 7 children, 2 which has passed away. One of her children is still at home and she is also raising 14 orphaned or abandoned grandchildren. The money she earns from Timbali Crafts is the only source of income for her homestead. She is thankful to be able to provide food for them now. 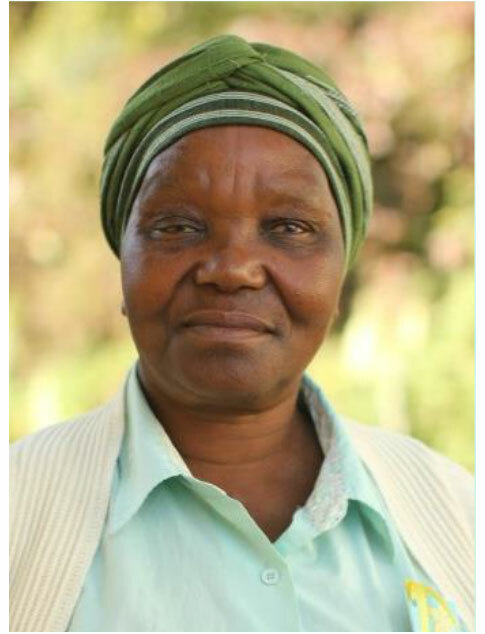 Norah has worked at the care point in her community since 2008. She enjoys seeing the children every day after school and thinks of them all as her own. She asks prayer for continued provision for her home stead. Phetsilaphi Mngometulu is 52 years old and a widow. She has 2 children living at home, and cares for 2 grandchildren belonging to her children who work elsewhere. Phetsilaphi was chosen by her community to volunteer at the neighborhood care point and has fallen in love with the children and her work there. Phindile Shabaongu was born in 1977. She is married and her husband has one other wife. 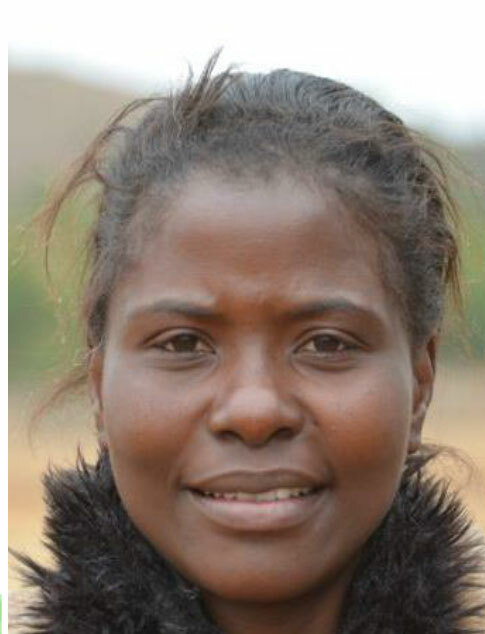 Phindile has four school-aged children. She is also caring for two of her husband’s children. 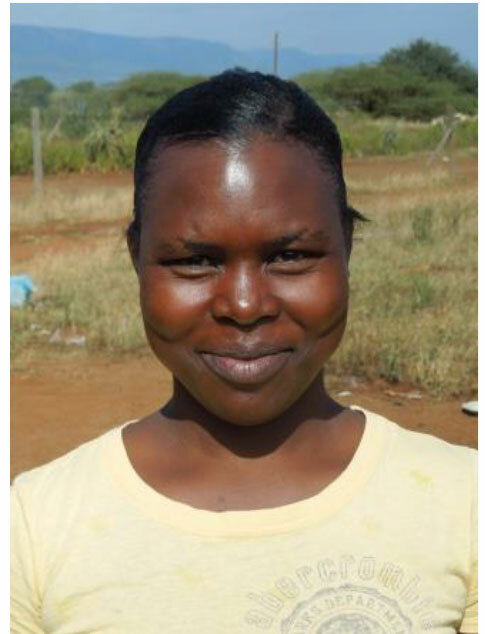 Phindile started cooking at the Ludlati care point in 2011 after learning that they were still in need of more cooks. She enjoys being a part of this community of women and helping the children who attend the care point. 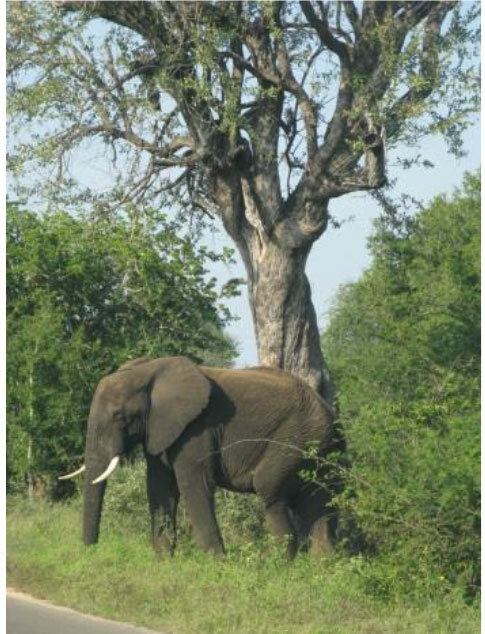 Phindile is thrilled to be a part of the Timbali project. 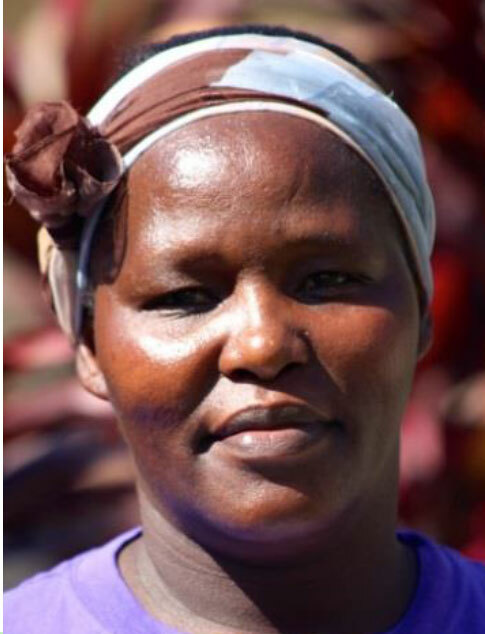 She uses her income to provide for her family and to pay her children’s school fees. Pray for healing of Phindile’s back pain. Phol’sile Motsa was born in 1980. She is a single Mom to three young children. Her Husband passed away in 2001. In addition to sewing for Timbali, Phol’sile also makes mats. 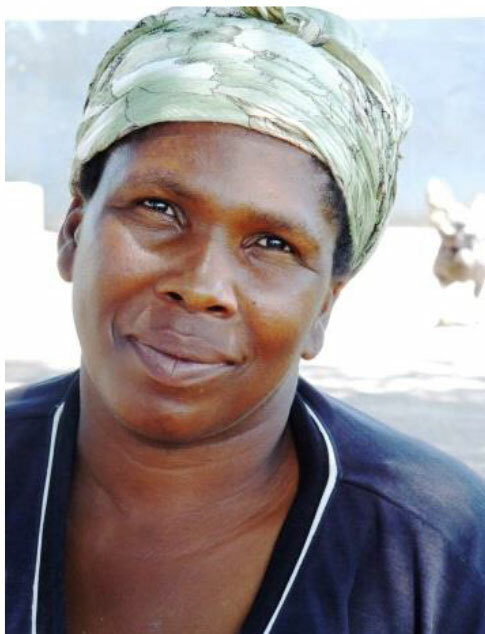 In 2008 Phol’sile started cooking at the Ludlati care point after a visiting team encouraged her to start helping out. Through her involvement at the care point Phol’sile and her children are guaranteed a daily meal and a supportive community. 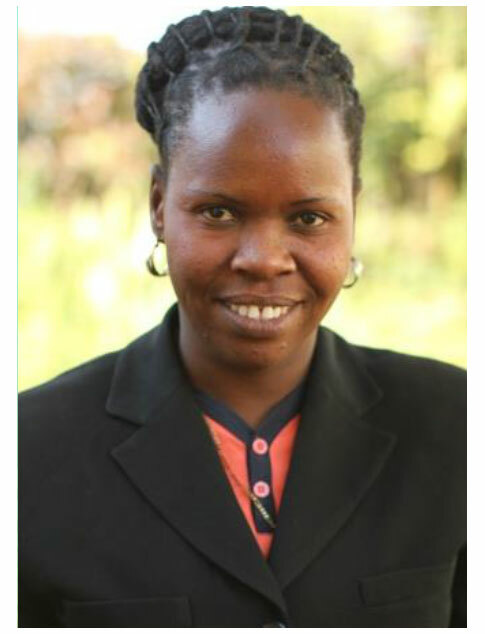 Pray that God provides protecetion and care for Phol’sile and her children. Phumzile Myeni was born in 1968. She serves by cooking at the Center carepoint. She has four children and her husband has recently died. She likes to cook and serve. She feels happy when she sees the kids eating. She wants to see them growing and being respectful as they are growing. She also wants to see them going to school. Since she has been a widow she has no food sometimes but He provides. Pray for her son to grow well and get a better job to support/care for them. Phumzile Mlambo is 47 years old and is a cook in the Nsoko area of Swaziland. She has 7 children, and also cares for her husband who is very ill and bedridden. She is one of her husband’s two wives. 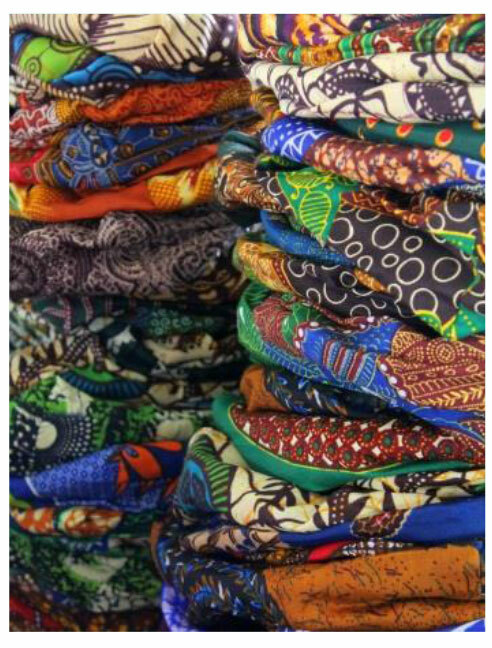 Timbali Crafts is the only source of income for her and her household. She volunteers at her neighborhood care point because she loves the children and wants to care for them. Phumilile Ngwenya in an incredible 58 year old gogo (grandma). 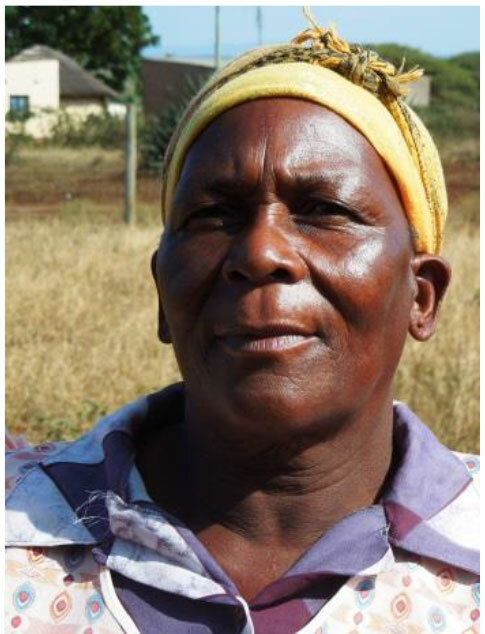 Phumilile and her husband have six adult children and five grandchildren. They also care for three other children who do not have a home. This big family relies on the Phumilile’s Timbali income to provide for their daily needs. 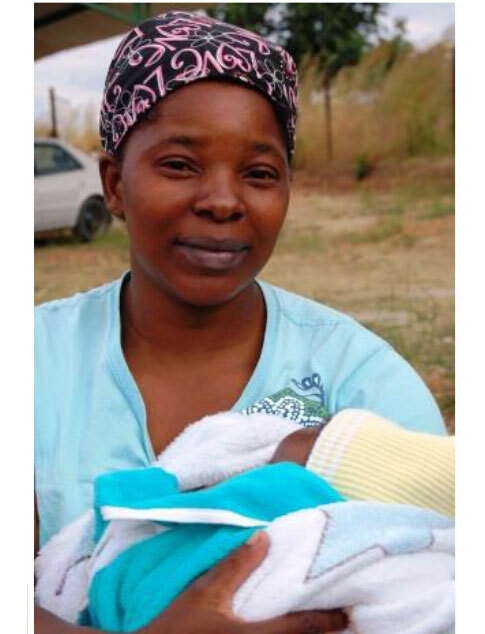 Phumilile has served at the Bhalekane care point since 2004. She is very passionate about the children coming to the care point and she sees a great importance in serving the Lord through her own hands. Pray for her children, that they may find jobs, and for their marriages. Finally, pray for the children that she is caring for and pray that she is able to continue to provide for them. 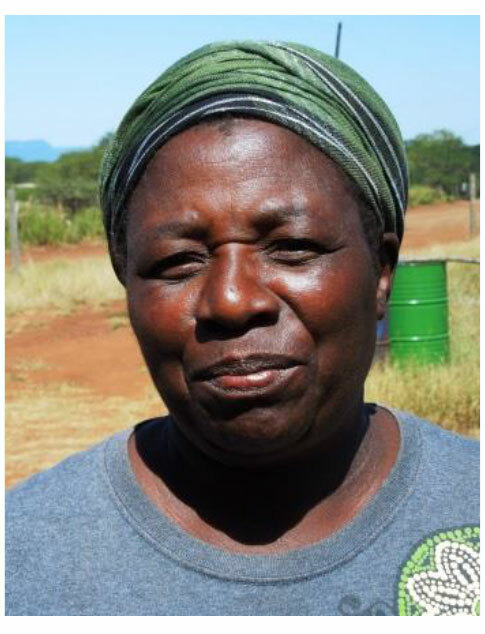 Phyllis Malinga is a cook at the Timbutini care point and is a natural leader among the other cooks and the Timbali ladies. It is apparent that she takes a lot of pride in her work and always seems eager to serve. She has one daughter who lives in South Africa and Phyllis has just recently become a gogo (grandma). Phyllis also cares for four other school-aged children. She uses her Timbali income to pay for school fees and provide for everyone living in her home. Phyllis asks that we pray for protection for her daughter and pray for her mother who recently suffered a stroke. Precious Maziya is 32 years old. She is married with four young children. She also takes care of 4 orphaned nieces and nephews. Precious sells chickens and sews for Timbali to help support her family. Precious was chosen by her community to cook at the care point and she has fallen in love with the children and her work there. 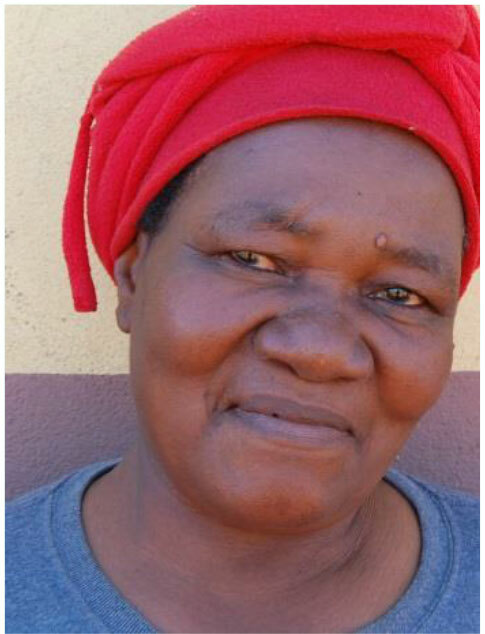 Prudence Mkhatjwa has been cooking at the Mpholi care point since 2008. 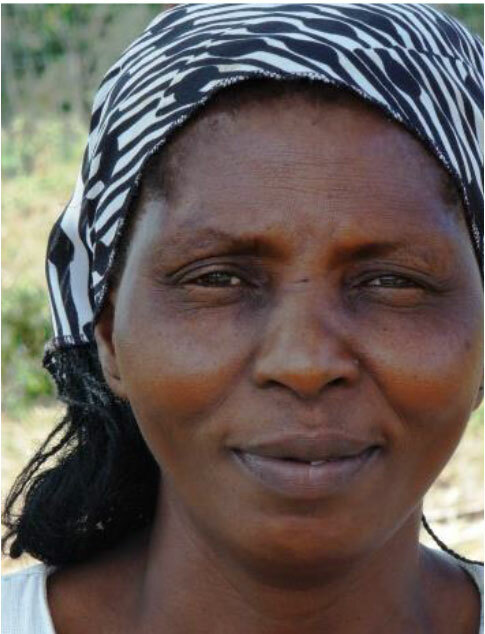 Prudence was abandoned by her husband several years ago, leaving her to care for her two children. 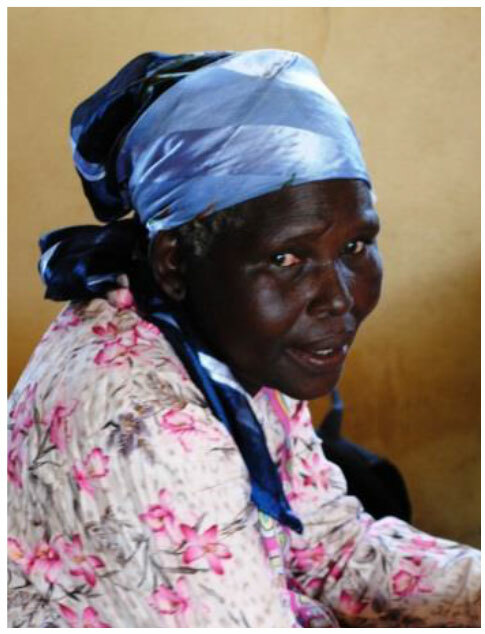 The pain of losing her husband inspired Prudence to cook at the care point. She saw how difficult that experience had been for her children and she wanted to be able to provide love for other children who were also experiencing loss. This compassionate cook also helps to care for two of her nephews. Prudence asks that we pray for her children’s education and that they are always able to pay for school fees. Ruby Nkambule has never had children of her own but that has not stopped her from being a mother to many. She is currently taking care of six children in her small two-room house. Three of the children were abandon by Ruby’s brother and three of them have been orphaned. Ruby also considers many of the Adventures In Mission staff as her children. This lively 83 year old praises God that she has the opportunity to be a part of Timbali Crafts and the Ntaba’s Care Point. Despite her age she still loves to dance. Ruby asks that we pray that she will have a long life so that she can keep cooking and be able to care for the children in her home. Ruth has been volunteering at the Ngunya Carepoint since it's beginning in 2004. She lives with her husband who is working in the sugar cane fields. They have 8 children-2 boys and 6 girls, and 5 grandchildren. There are 9 people who live at her home. She enjoys helping the children, especially the orphans in her area. 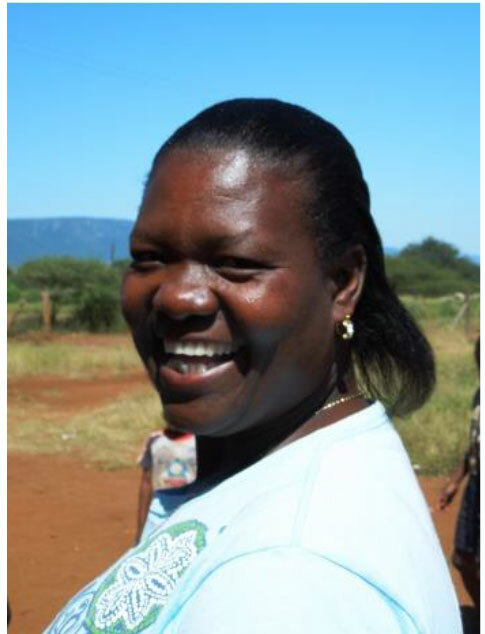 Ruth prays for her children to finish university and to find work. She is also praying for more love for the children at the carepoint. Saulina Mabuyakulu cooks at the Center carepoint in Nsoko. She was born in 1963 and is married with 13 children. She is also taking care of 5 other children. She loves children and she wanted to cook for them. She likes to play with the children and likes to cook so that they can be satisfied. She wants to see them grow and see them respecting their parents and the go-gos (grandmas). God is taking care of her life and family and whenever she has a problem she tells Him and He helps. Her husband has high blood pressure and she is praying for him to be healed. 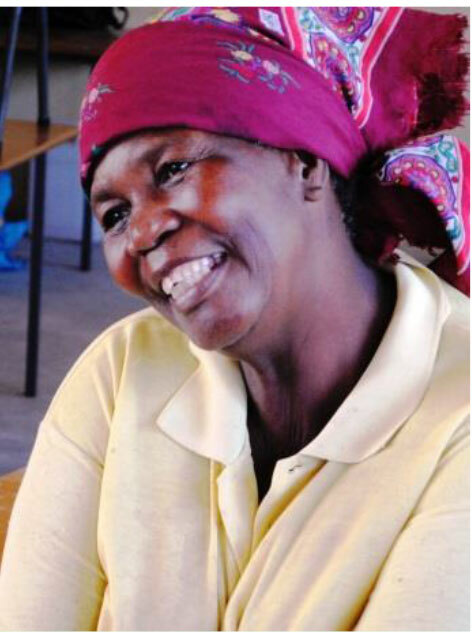 SiBongile Shoba is a 50 year old preschool teacher and cook at the Mkhombokati care point. 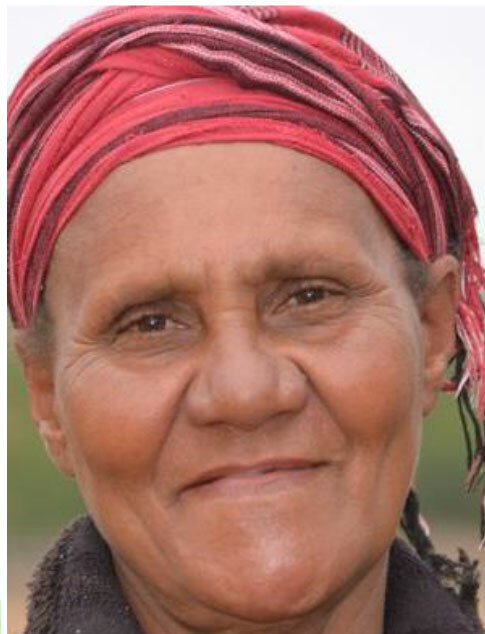 She has ten living children and is caring for four other children at her homestead. S’Bongile has been a part of Timbali crafts since 2006. She is thankful to be a part of this project and she uses her income to support herself and her family. 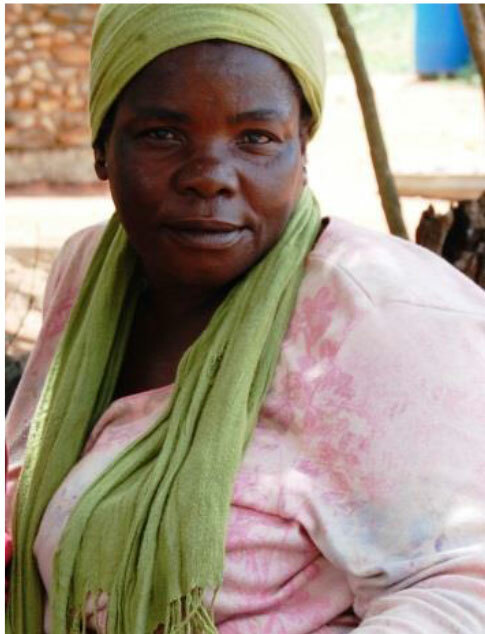 Before 2006, S’Bongile and her children relied on the food at the care point for their meals. Today, the Shoba family can afford to purchase food, pay for school fees, and buy needed medication for S’Bongile’s asthma. The Shoba family is living in a stick and mud hut. Pray that the family will be able to construct a more permanent structure to live in. Sibongile Vilakati is 41 years old. She has 2 living children and one that has passed away. She is married, but her husband works in Johannesburg and does not provide any support for the family. She lives on her in-law’s homestead with many others. Sibongile enjoys looking after the children at the care point. She has been volunteering there since 2010 because she wanted to be able to help the needy children in her community. Sibongile Zwane is 43 years old. She is married with 4 living children and 3 that have passed away. She also cares for 5 additional nieces and nephews who have been orphaned. The income Sibongile earns from Timbali Crafts and also from selling vegetables from her garden helps to support her family. She volunteers at her neighborhood care point because she saw many orphans going without food and wanted to help provide for them by helping to cook. Sheila Mkhatshuwa was born in 1965. She was abandon by her husband 22 years ago. She has five children but four of them are living with her husband. Sheila is also caring for her brother’s three children. 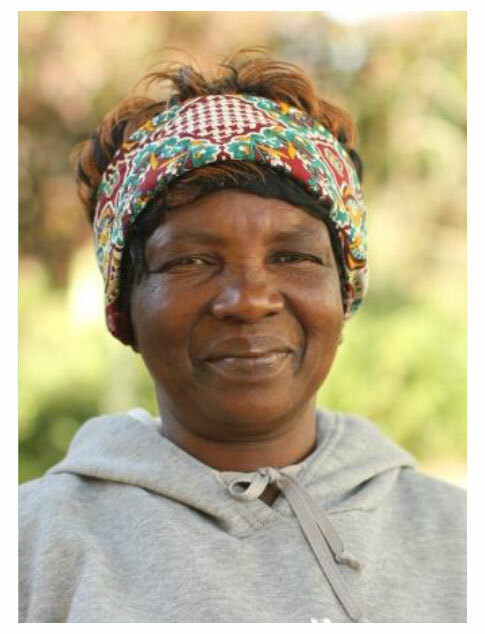 In 2007 Shelia started cooking at the Enaleni care point. She likes cooking for the children and is thankful for the all of the doors that have been opened because of her commitment to the care point. She is happy to be a part of Timbali Crafts and appreciates the assurance of having a pay- check every month. Sheila asks for prayer for strength to keep faith in God and also gives thanks for Timbali Crafts and the ways in which it has helped to meet her day to day needs and spiritual needs. 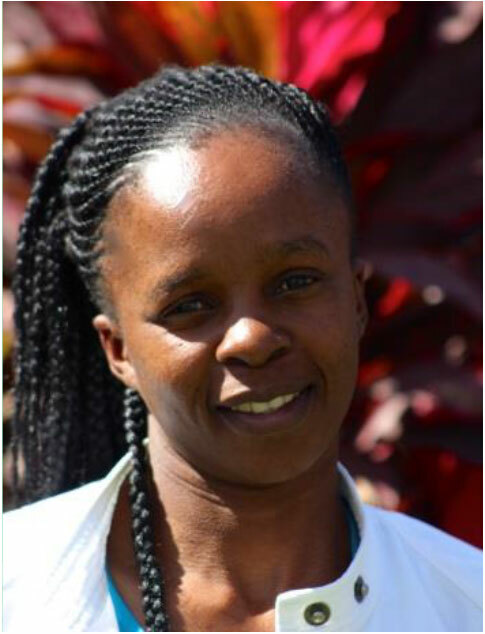 Sibulewe began volunteering at the Ngunya Carepoint in 2008. She was drawn to the work by the needs of the children. She has 4 children and 2 grandchildren. Her husband does not live with her and she earns the income for the homestead. She also takes temporary jobs working in the sugar cane fields when there is an opportunity. Her prayer is for the children to continue in school and for them to go to university and find jobs. Siphephile Mngometulu is 53 years old and a widow. She has 7 children, four of whom still live at home. She cares for 7 grandchildren belonging to her 3 other children who work far away. 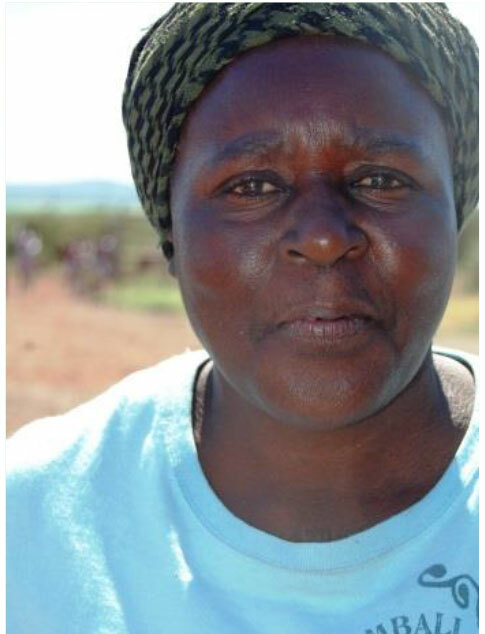 The money Siphephile earns from Timbali Crafts is the only source of income for her homestead. Siphephile started cooking at her neighborhood care point after being chosen by her community. Sphiwe Motsa was born in 1965. She has five children. Her husband works in a mine in South Africa and has one other wife. She started cooking at the Ludlati care point in 2009. S’phiwe loves children and she is happy that she has the opportunity care for the kids in her community. 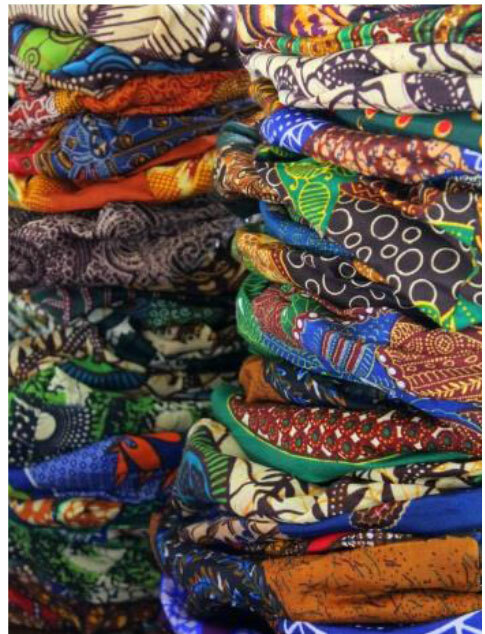 In 2012 S’phiwe started sewing for Timbali Crafts. She uses her income to pay for school fees and uniforms. S’phiwe asks that we pray for continued unity and peace among the ladies serving at the Ludlati care point. Sphiwe Thwala is an incredible 65 year old who spends her days cooking at the Ntaba’s care point. She has prepared meals at this care point three days a week for the last ten years. She knows that serving the children in her community is part of God’s purpose for her life. 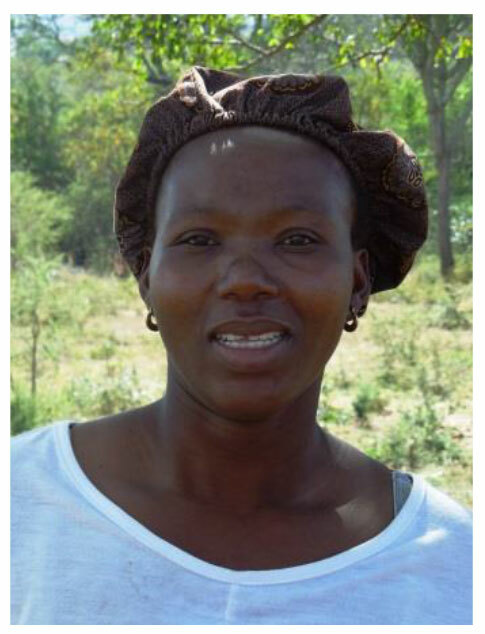 S’phiwe was widowed many years ago and was left to care for their seven living children. She also has 17 grandchildren and is currently caring for three of them after their parents passed away. 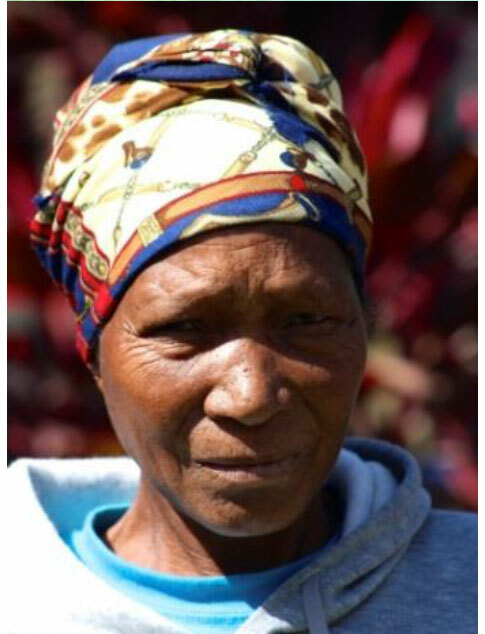 S’phiwe relies on her Timbali income to provide for herself, her children, and her grandchildren. S’phiwe asks that we pray for three of her sons who are struggling. Susan Mamba was born in 1964. She and her husband have four school-aged children. She is the only one in her family that currently has an income. The money she makes from Timbali allows the family to pay for school fees and buy food. Susan started cooking at the Mpholi care point in 2008. She likes helping out at the care point because it gives her an opportunity to love the children in her community. 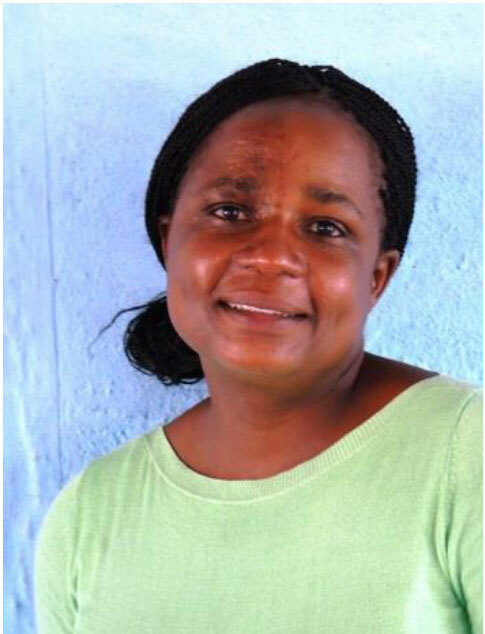 Pray that Susan’s children will be able to finish school and continue on to university. 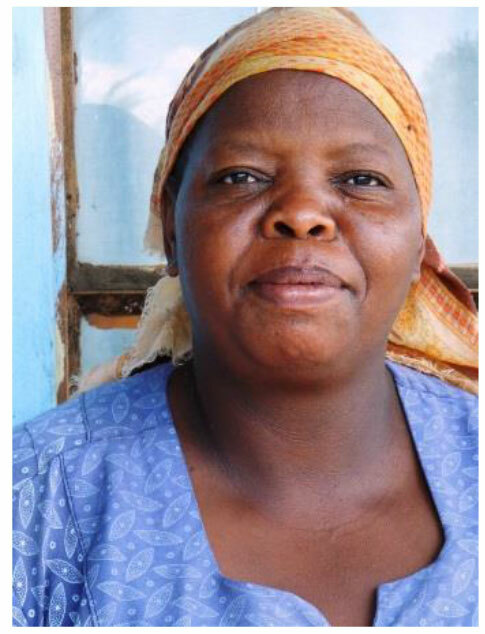 Sweetness started volunteering at the carepoint in 2004 when the feeding first began at Ngunya Carepoint. She lives with her husband who she has been married to for more than 40 years. They have 7 children and 25 grandchildren. 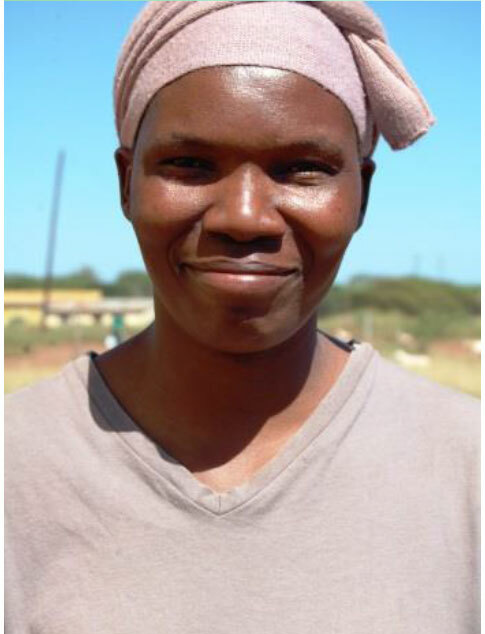 Sweeetness has twelve people living on her homestead and she is the main provider through her Timbali income. She wants to help the children in her community. Her prayer request is for her husband's health. He has been struggling with a hip injury after a fall. He is weak and walking with a cane and unable to work. She is praying for his complete recovery. She is also praying for more love for the children of the community. Thembi Mngometulu is a 34 year old mother of two school aged children. She also cares for her 16 year old brother and two of her sister’s children. Thanks to her Timbali income, Thembi is able to pay for all 5 of these children’s school fees. Thembi has also volunteered at the Timbutini care point since she was 23 years old. After seeing many child-run households in her community she felt compelled to give her time to help others. The care points have been a great vehicle for her to aid the children of her community. Please pray that Thembi can continue to receive the flax seed that has drastically improved her health. Theresa Mngometulu is 39 years old. She is married with 3 children and also takes care of her brother’s 3 children since he passed away. Theresa earns some income from selling candy, apples, and cookies, however she still struggles to pay school fees for all the children. She works at the neighborhood care point so she can help more orphans like her brother’s children. Thoko Dlamini is 63 and she cooks at the Center carepoint. She has one daughter and 6 grandchildren who live with her. She is also taking care of 2 others. Her dream for the kids in her community is that they would have respect for the go-go’s and go to school. She’s a widow so she prays that God would provide food for her children. She’s keeping her grandchildren because their parents died and she needs prayer for their provision. Thoko Shaya , a 55 year old gogo (grandma), has been a part of Timbali Crafts for the last six years. She uses her income to support her husband, five children, and two grandchildren. Thoko has volunteered her time at Timbutini care point for the last ten years. She is a very ambitious woman who is eager to learn so that she can better help others in her community. 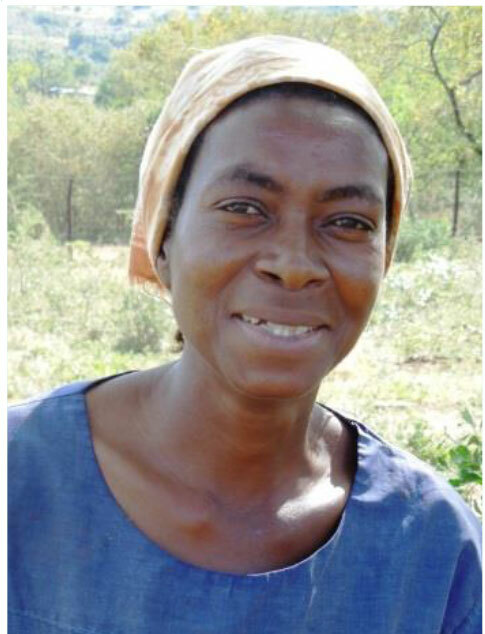 Please pray that Thoko is able to improve the living conditions for her family. She also asks that we pray for Timbali Crafts; that it will grow bigger. Finally pray for she and her husband’s health. 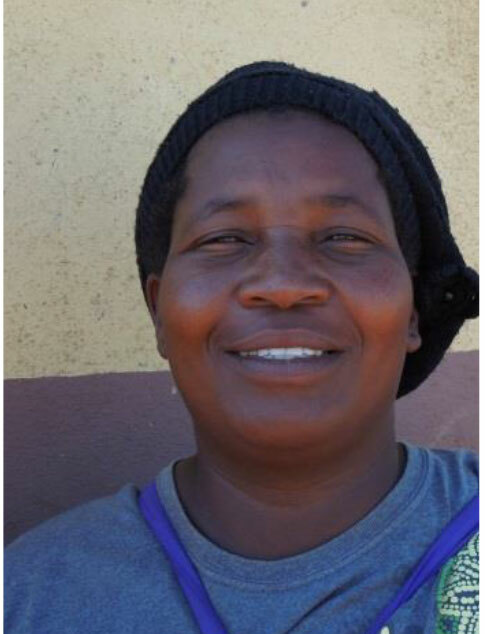 Tholiwe Mamba is a cook at a Care Point in the Nsoko area of Swaziland. More information pending. Tholiwe Mngometulu was born in 1973. She has four children and is also raising four additional children. Her husband passed away in 1998. She cooks at the Eskhaleni carepoint , and she loves sewing with Timbali Crafts. She also sells mats and clothes. She wants to see the kids knowing God and going to school. Pray for Tholiwe to Grow in knowing Christ and growing in teaching the children. 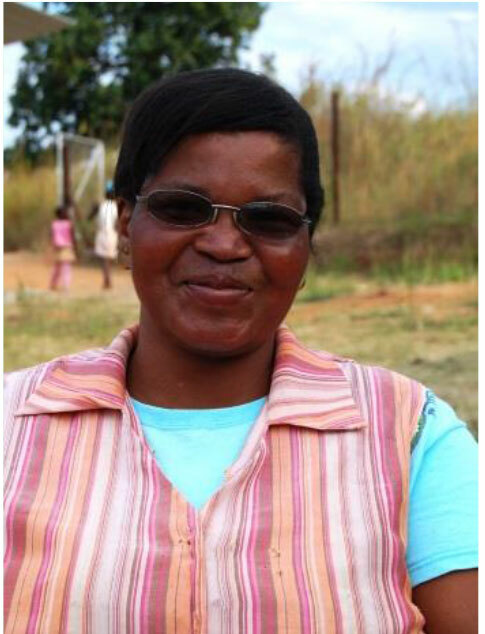 Thulie Mabuza is a 40 year-old teacher at the Timbutini care point. 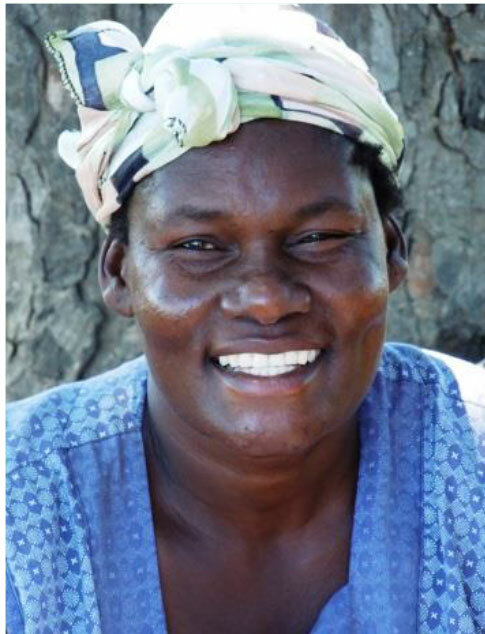 Thulie was widowed ten years ago and now cares for her four children on her own. Every week, you can find Thulie teaching the Timbutini preschool under the shade of a tree. She also volunteers her time to deliver first aid with other members of her congregation. Thulie has been a part of Timbali Crafts for the last six years and she uses her income to provide food and clothes for her family. Thulie asks that we pray for Timbali and the community. Tllindzile Nkambule was born in 1981. She and her husband have three young children. The family makes some money from selling vegetables from their garden. In 2010 Tllindzile began cooking at the Mpholi care point. Tllindzile took over cooking for her mother in-law after she passed away. She truly enjoys being a part of the Mpholi care point and serving the children in her community. Pray for Tllindzile and her husband, that their marriage will last a lifetime. 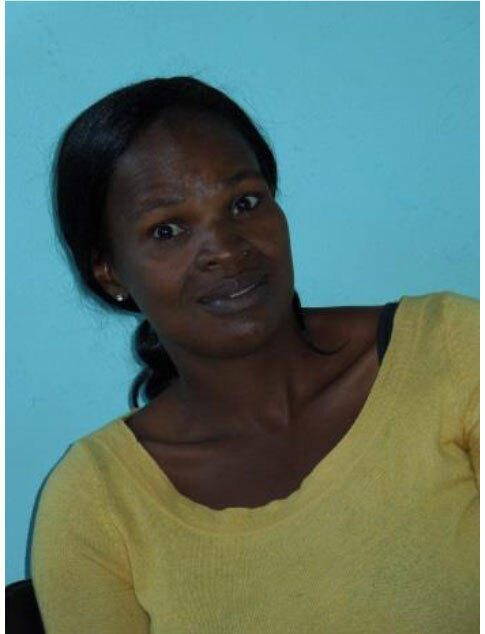 Xolile Simelane is the preschool teacher at the Bhalekane care point. She has been teaching the children of the care point for the last six years. It is apparent that Xolile truly loves the children of her community. She has six school -aged children of her own. Xolile also cares for two children who have been orphaned. Her Timbali income is used to support her large family and pay for school fees. Xolile asks that we pray for her, that she will be able to love all of the children in her preschool with a motherly love. Xolsile Gamedze is 32 years old. She is a single mom with one child. Xolsile and her mother are both part of Timbali Crafts and together they help to care for 9 children who live with them on their homestead. Xolsile started volunteering at her community care point in 2005. She loves the children and especially wants to help those who have been orphaned. Zandile Mkhabela was born in 1976. This mother of seven school aged children works incredibly hard to provide for her family. She has also opened up her home to care for two relatives who were abandoned by their parents. For the most part, Zandile is raising her children by herself. Her husband has two other wives and he currently is living in South Africa. 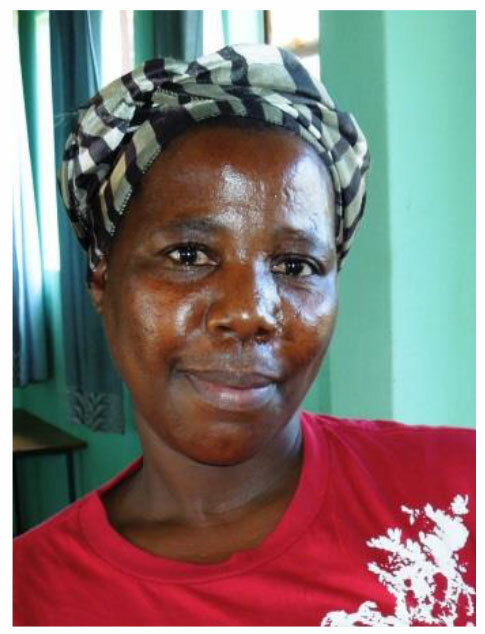 In 2009 Zandile started cooking at the Ludlati care point. She is very discouraged by the situation of her community. It saddens her to see so many child-run households. Zandile is happy to help feed these children and show them love. Zandile asks that we pray for her relationship with her husband. Zanele Dlamini was born in 1970. She and her husband have six children and one grandchild. Three of her children are still school aged and the family relies on Zanele’s Timbali income to pay for their school fees. She is the only person in her household who has an income. Zanele serves at the Bheveni care point as a cook. She joyfully serves at the care point and is thankful for the opportunity to help the children in her community. Zanele asks that we pray for her husband’s job search. 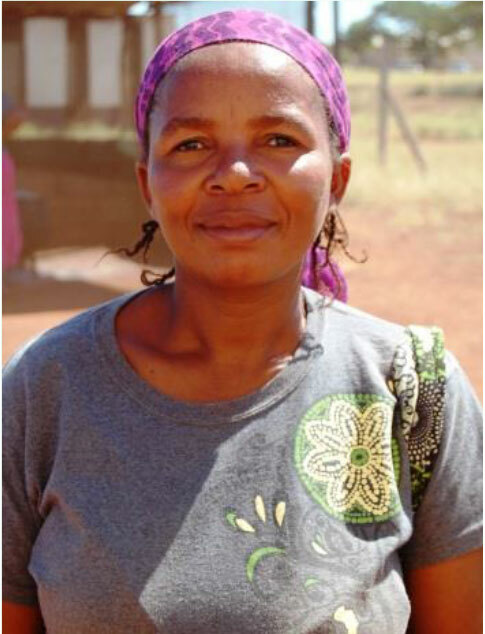 Zanele is a cook at a Care Point in the Nsoko area of Swaziland. More information pending. Zodwa is 39 years old. She is a single mother of 4 children. The children’s father is unemployed, so the money she earns from Timbali is the only source of income for her family. She volunteers at her neighborhood care point because she loves the children.